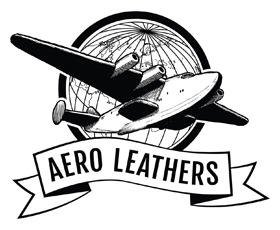 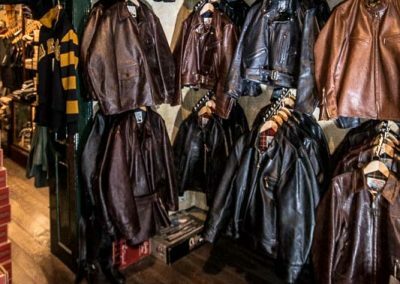 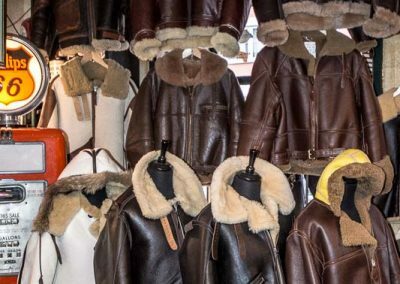 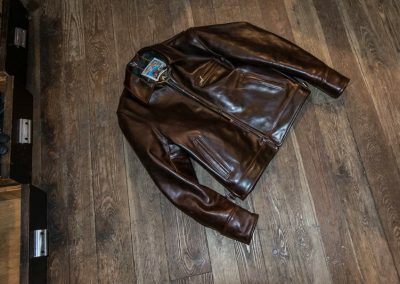 We work with Aero-Leather Scotland since 1984 – first as Southern Division and since 1991 as Gasoline Alley. 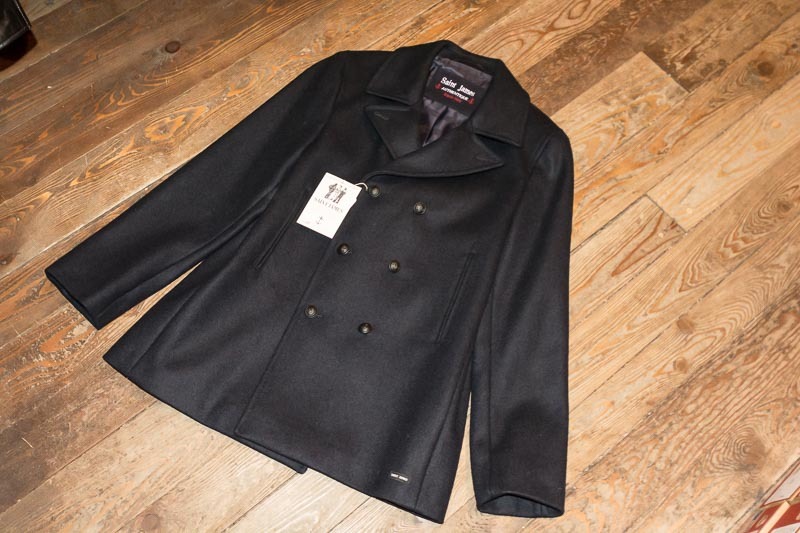 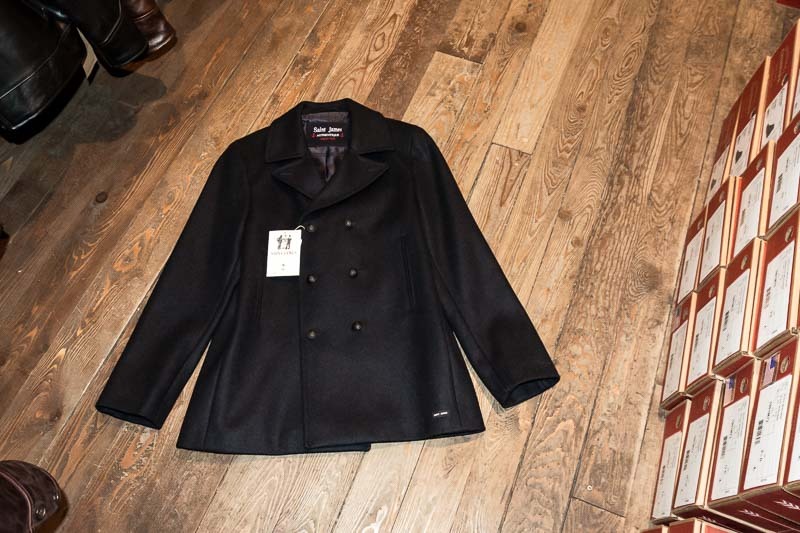 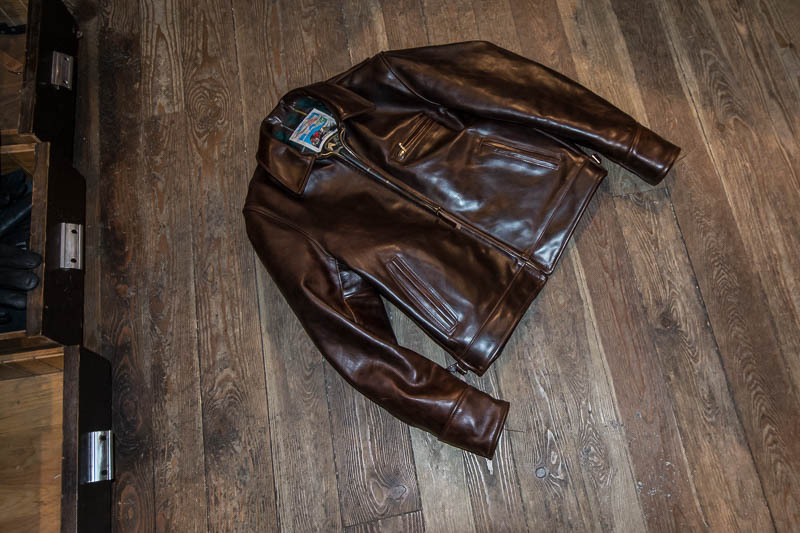 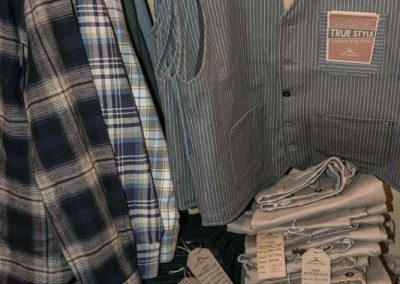 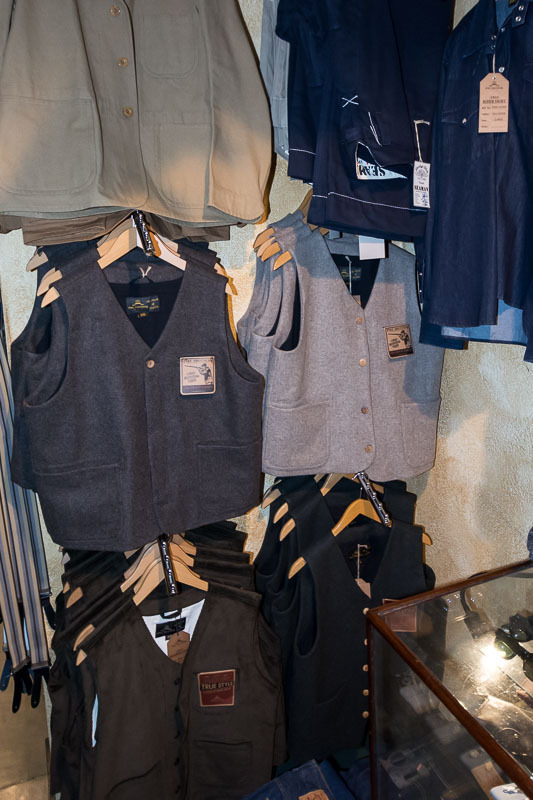 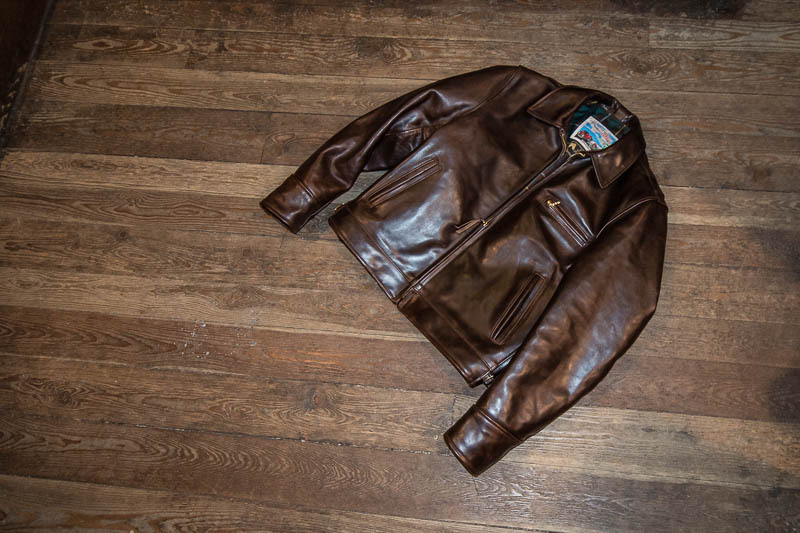 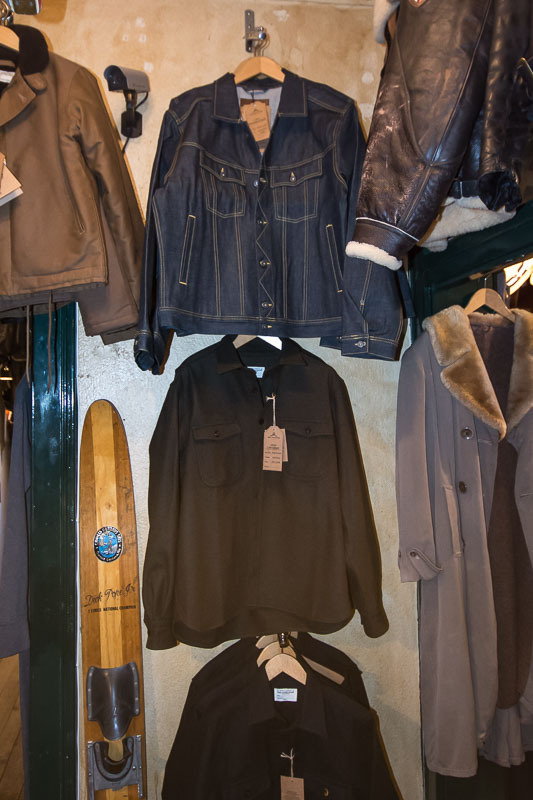 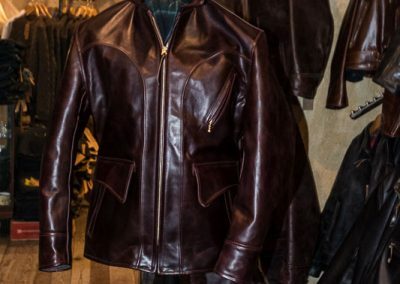 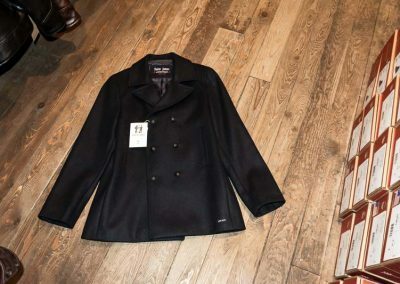 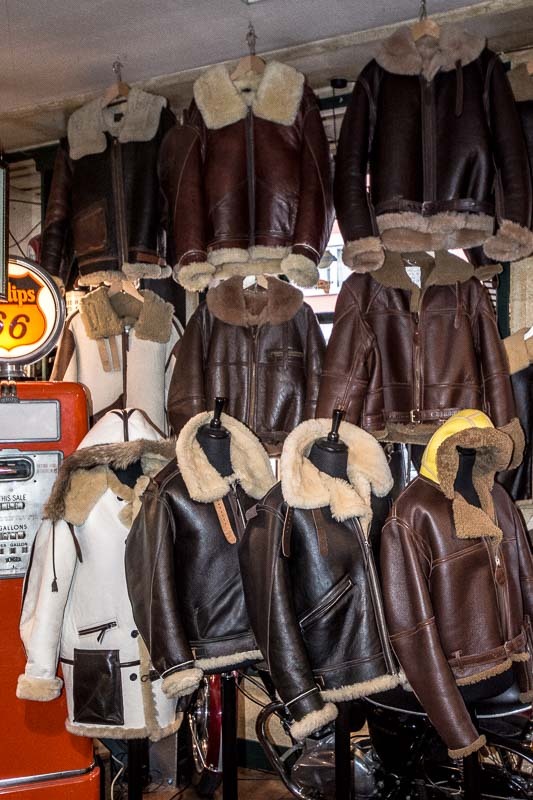 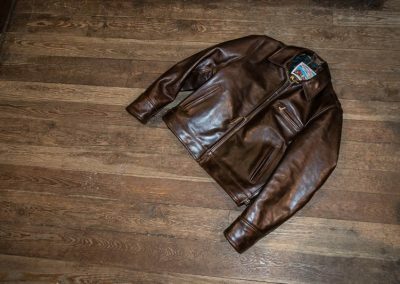 Jackets are always individually measured at the shop and tailored at Aero Leather for you. 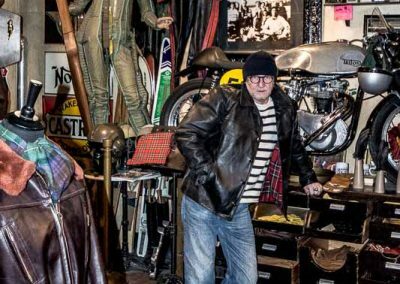 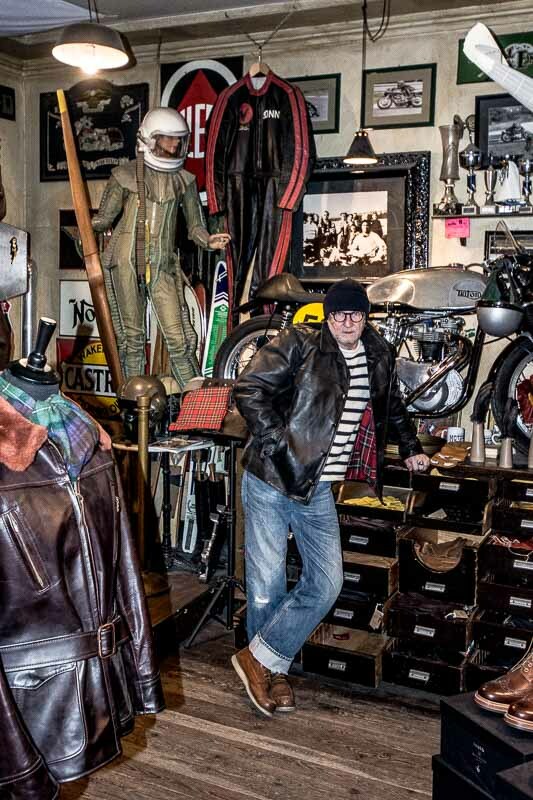 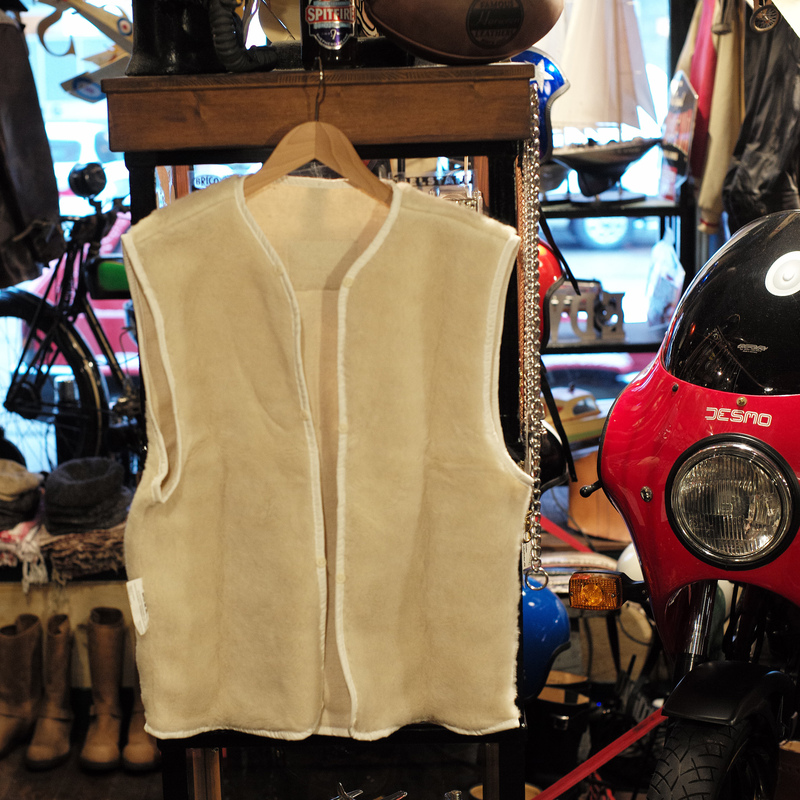 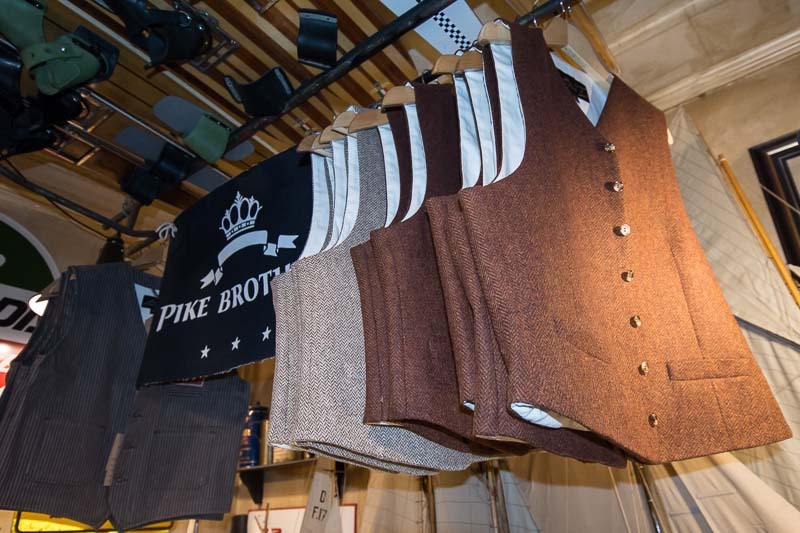 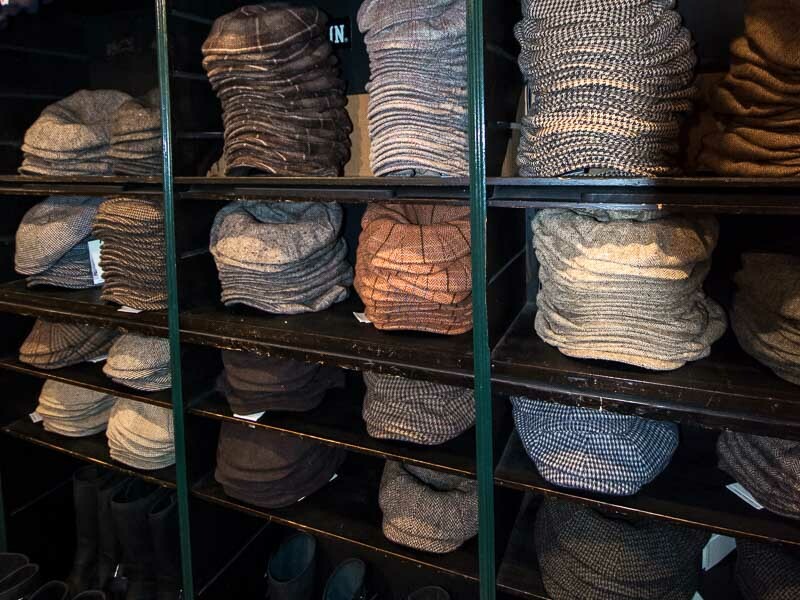 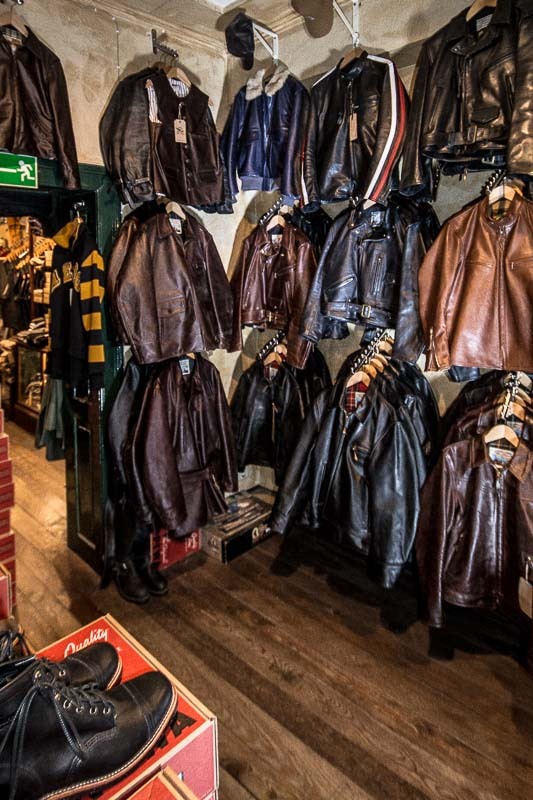 More than 100 different styles, around 30 leathers and a lot of linings and extras. 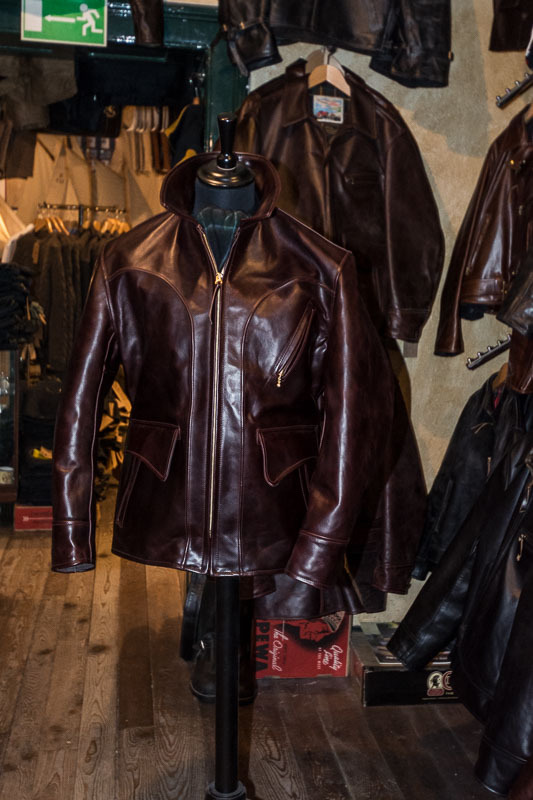 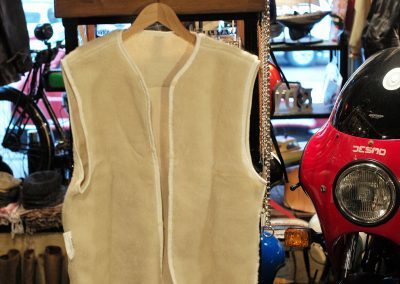 We have nearly all important styles, colors and leathers in stock. 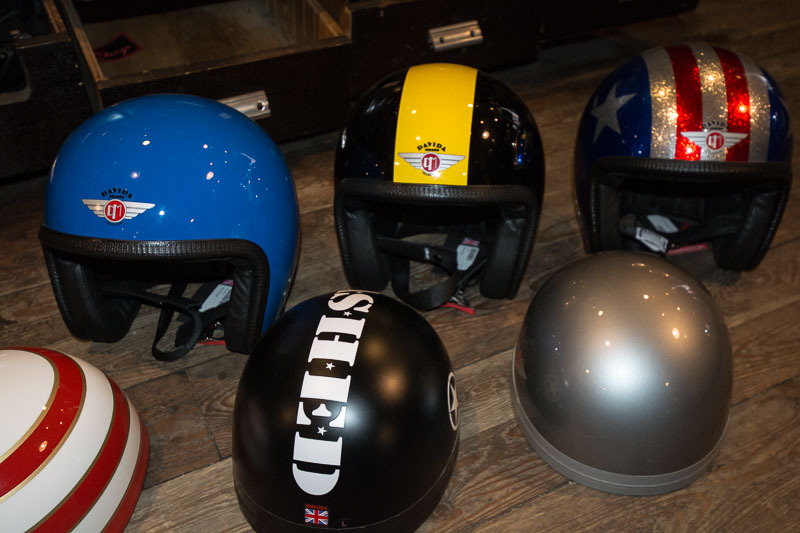 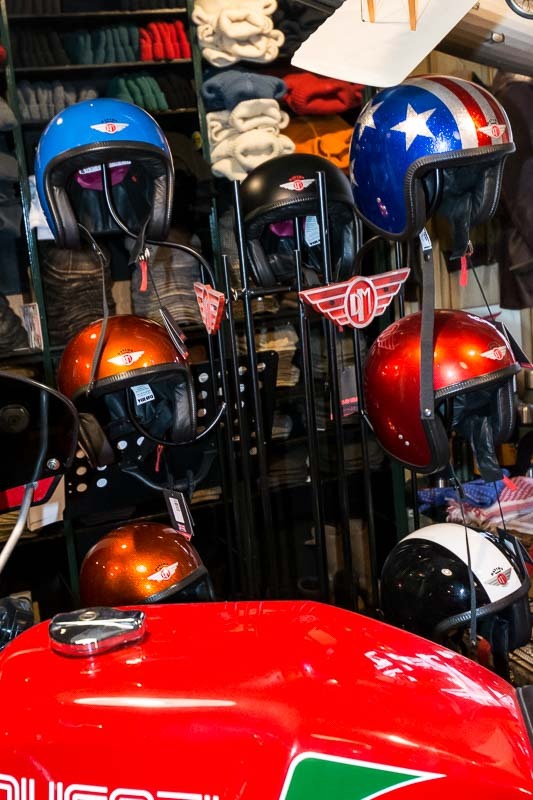 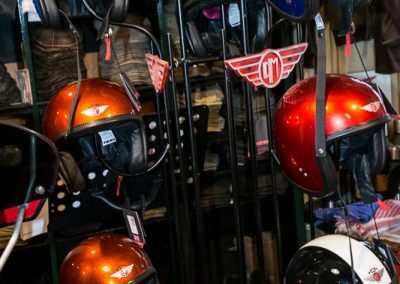 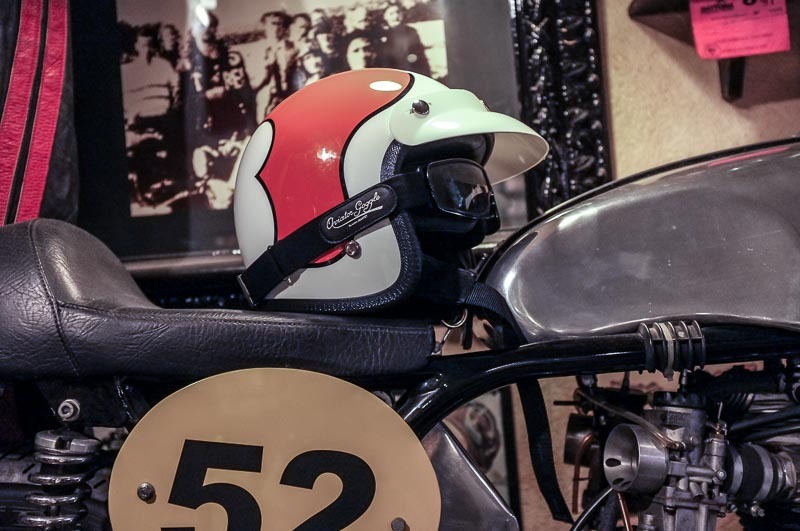 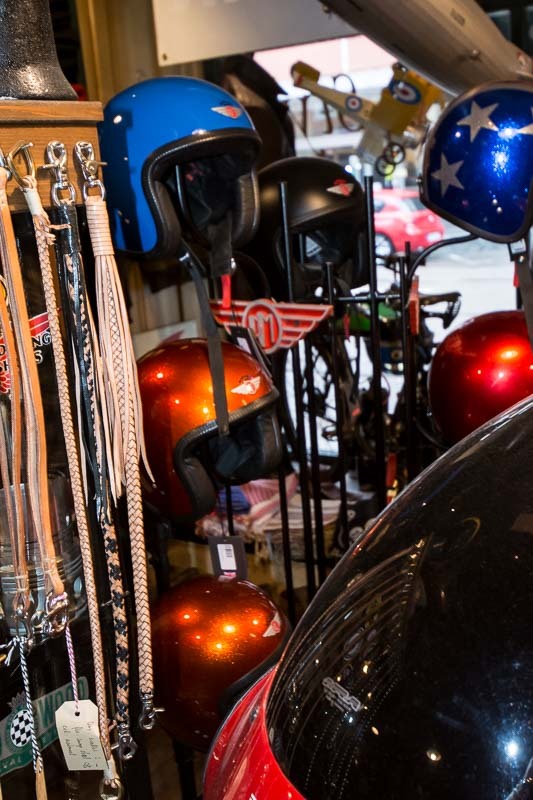 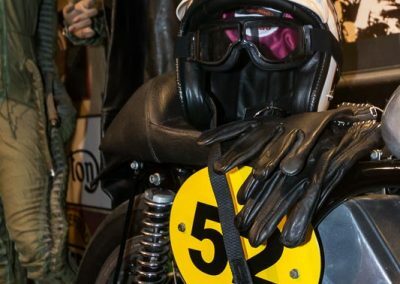 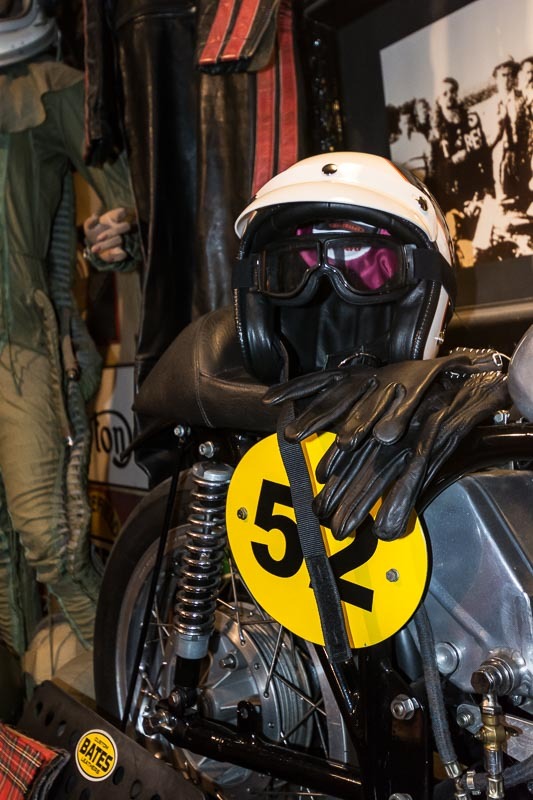 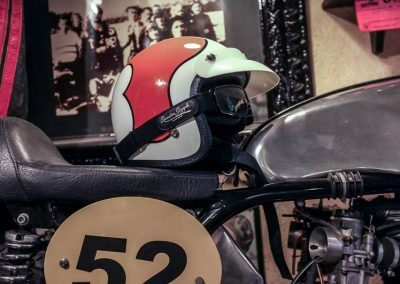 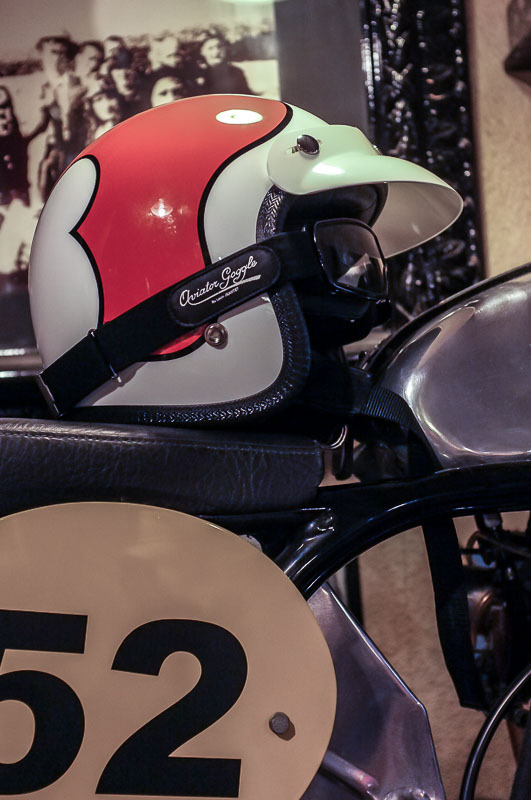 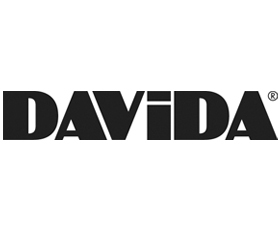 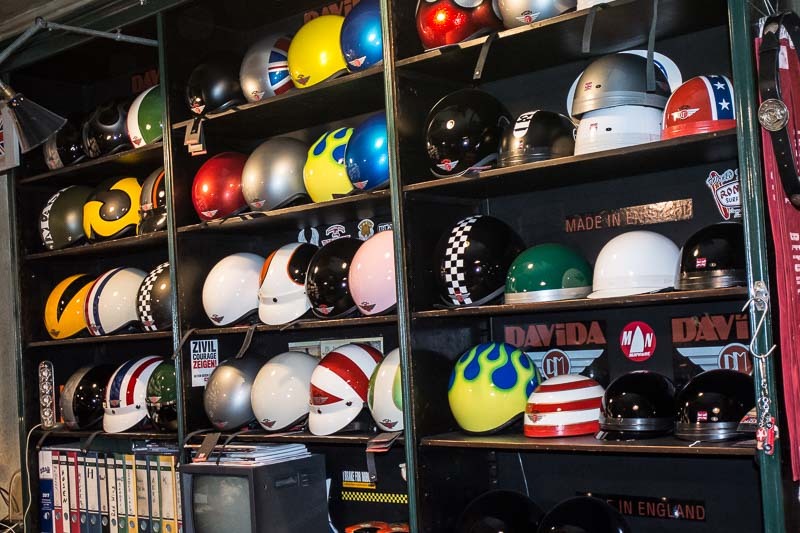 Davida is our only manufacturer for helmets sine 1984 –first at Southern Division and later at Gasoline Alley. 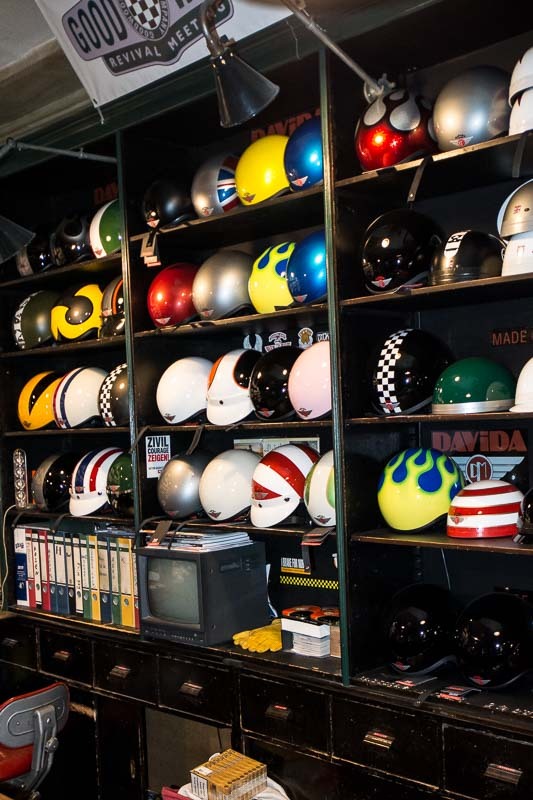 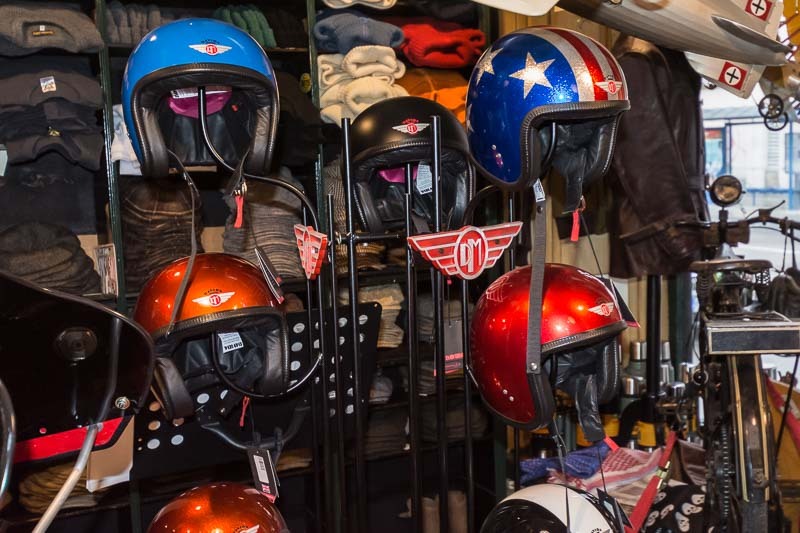 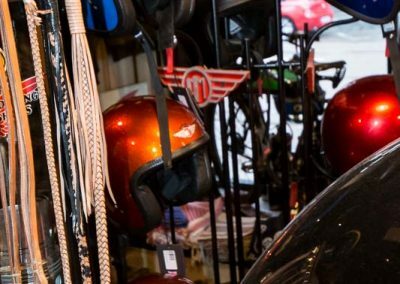 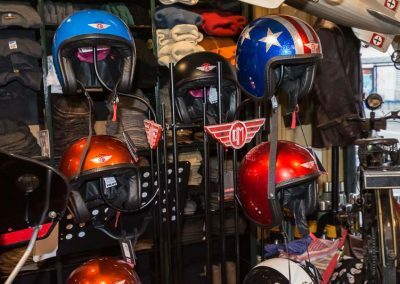 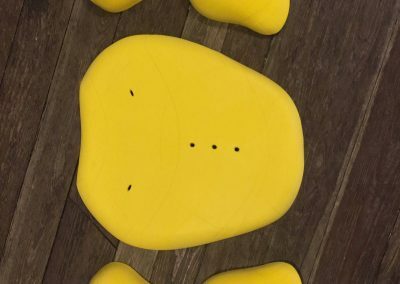 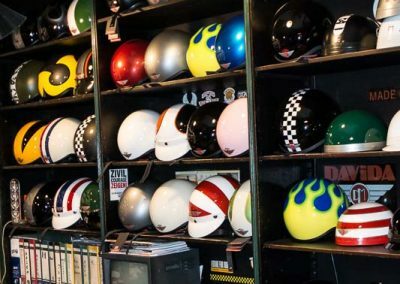 It is possible to design your own paint job for you helmet at the shop. 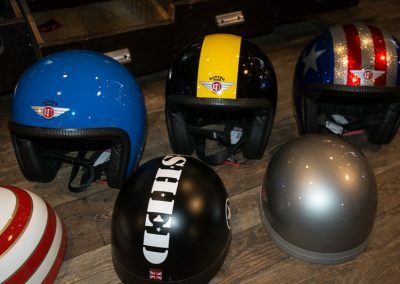 Davida has 5 different helmet styles: the classic half helmet, three different jet helmets and one full face helmet. 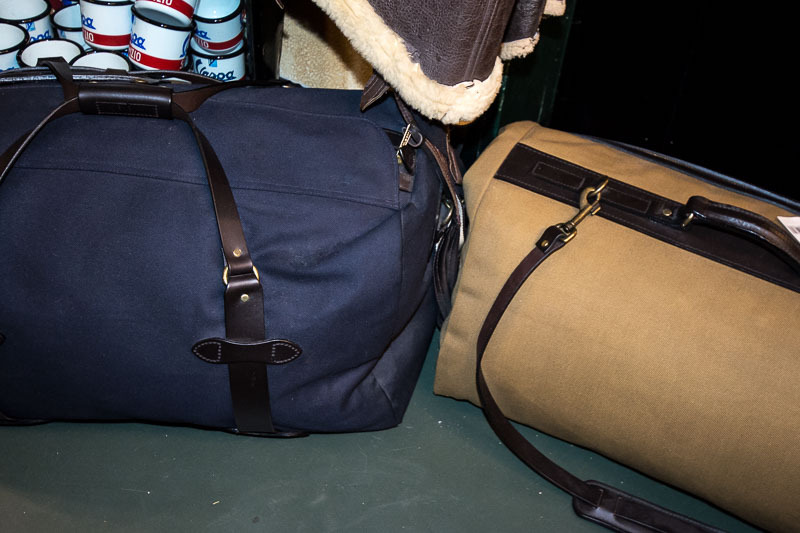 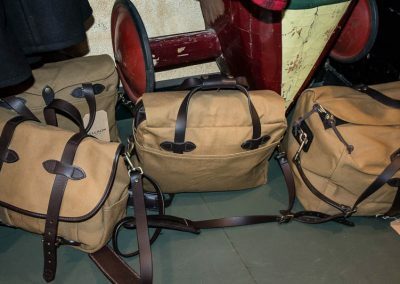 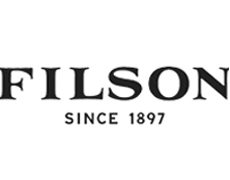 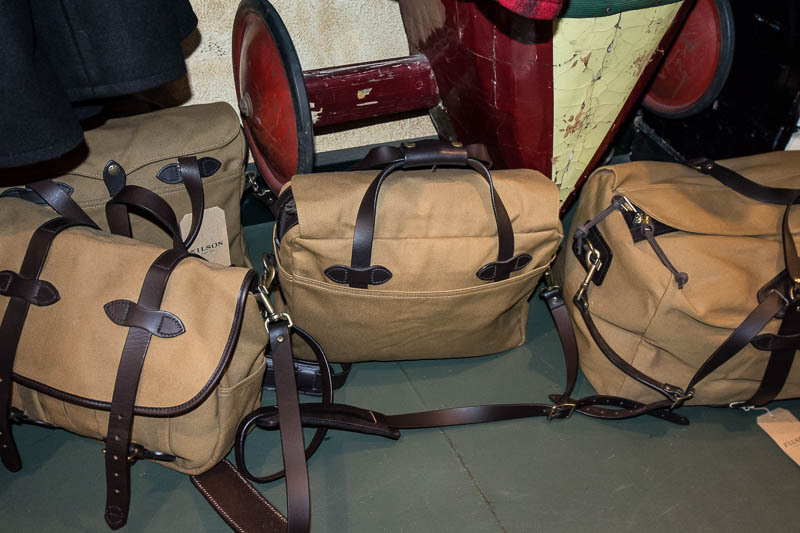 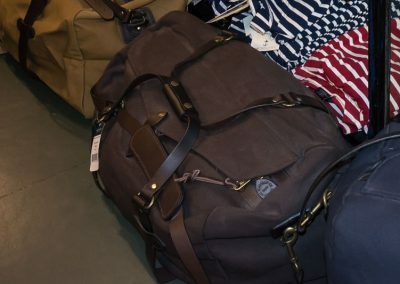 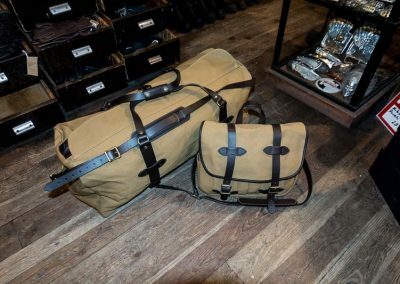 Gasoline Alley sells Filson Bags made in USA. 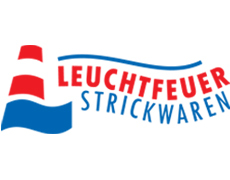 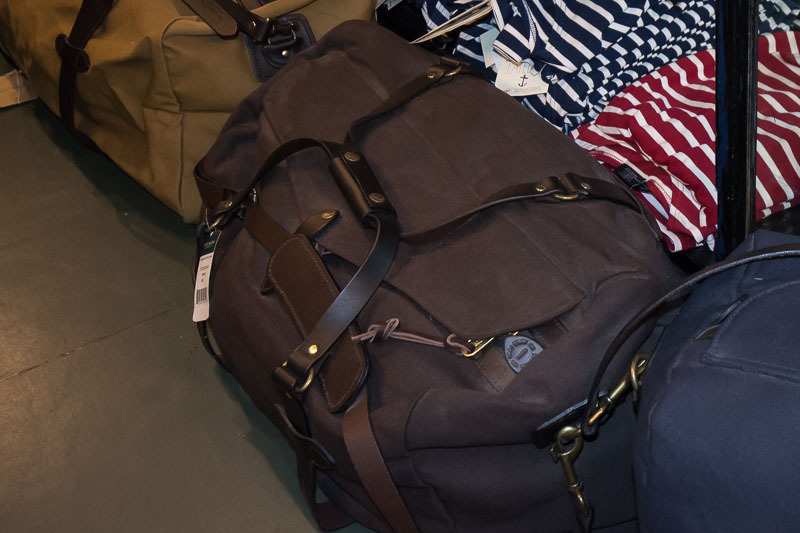 Briefcases, Duffle Bags, Field Bags and Travel Bags in different colors. 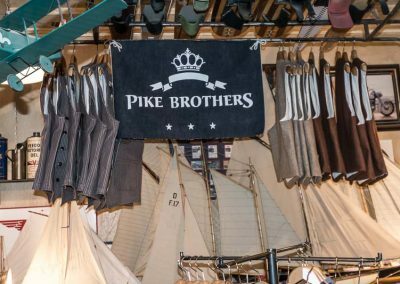 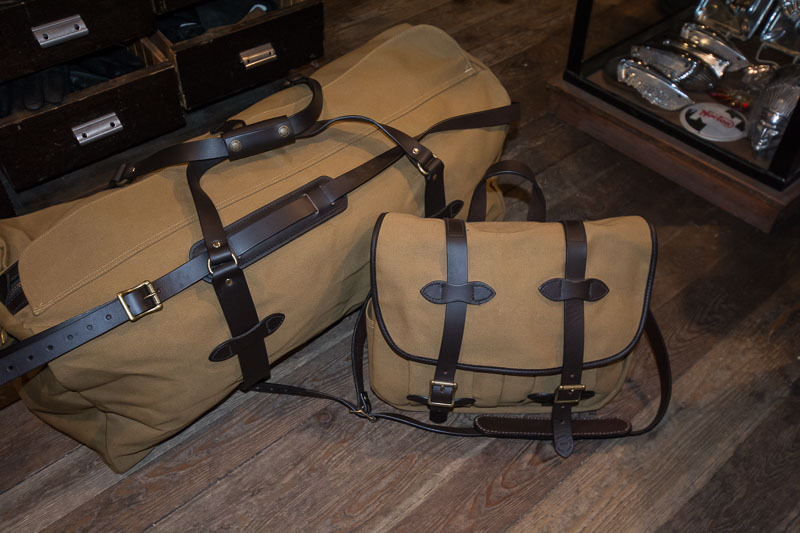 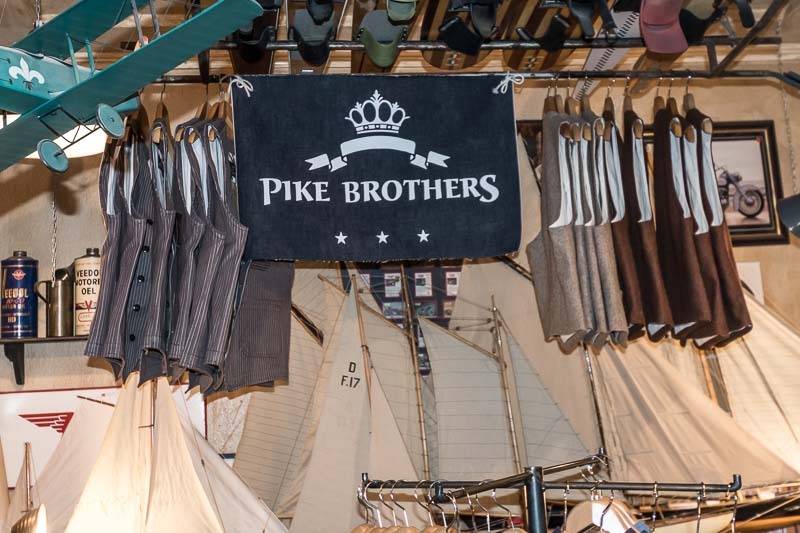 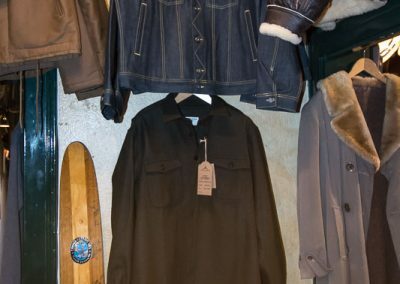 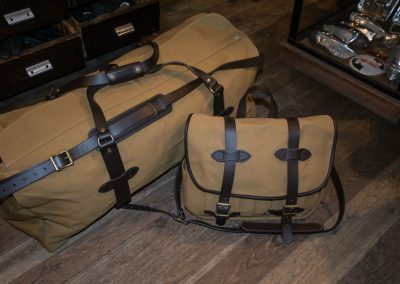 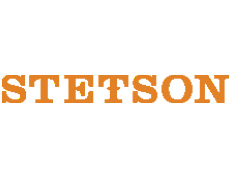 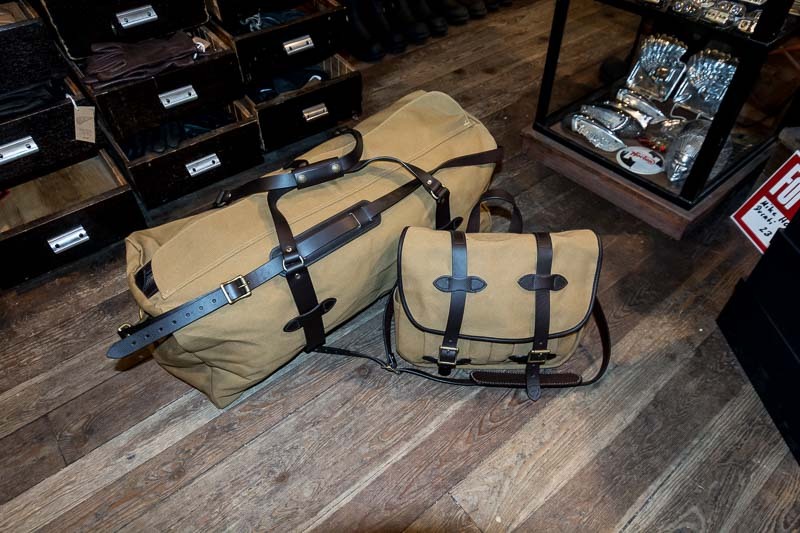 Other goods of Filson can be ordered at the shop. 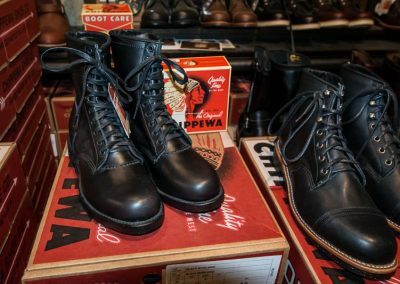 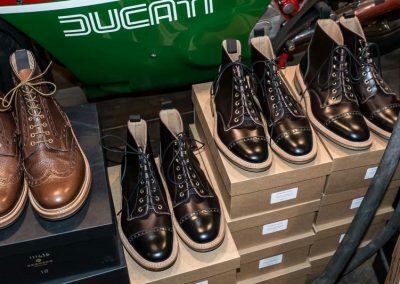 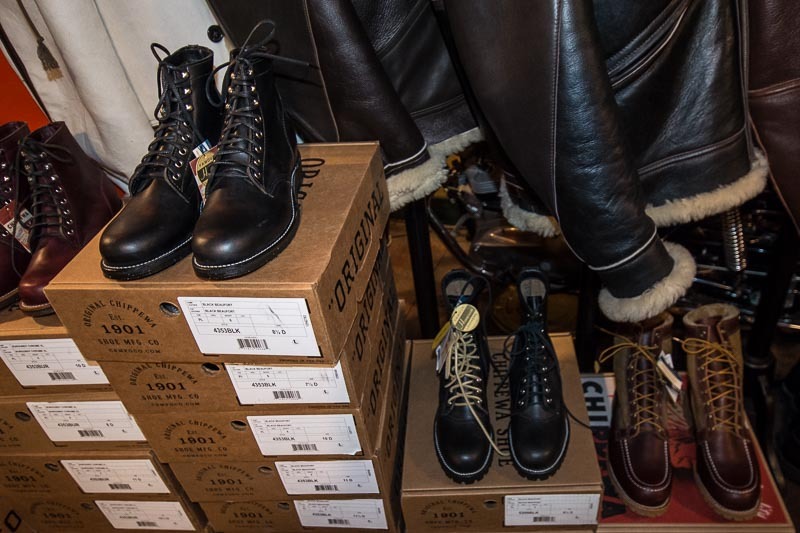 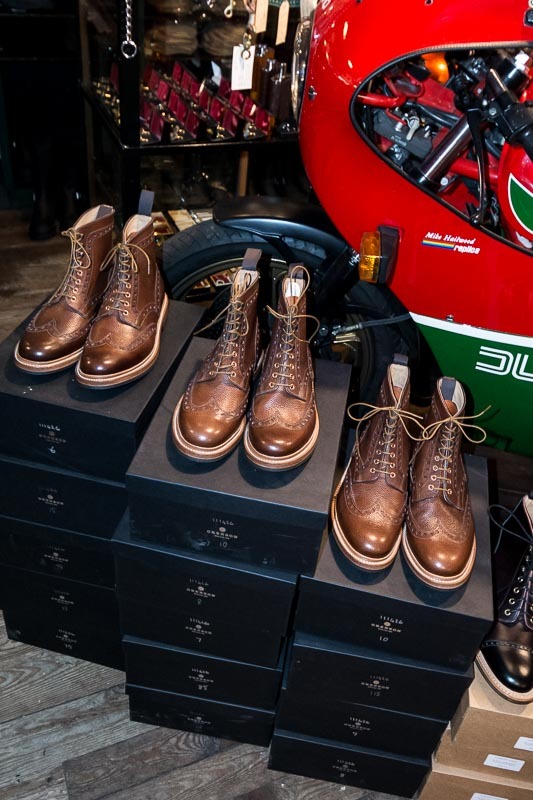 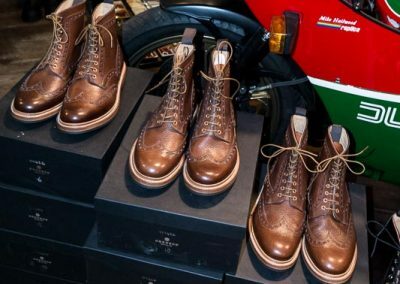 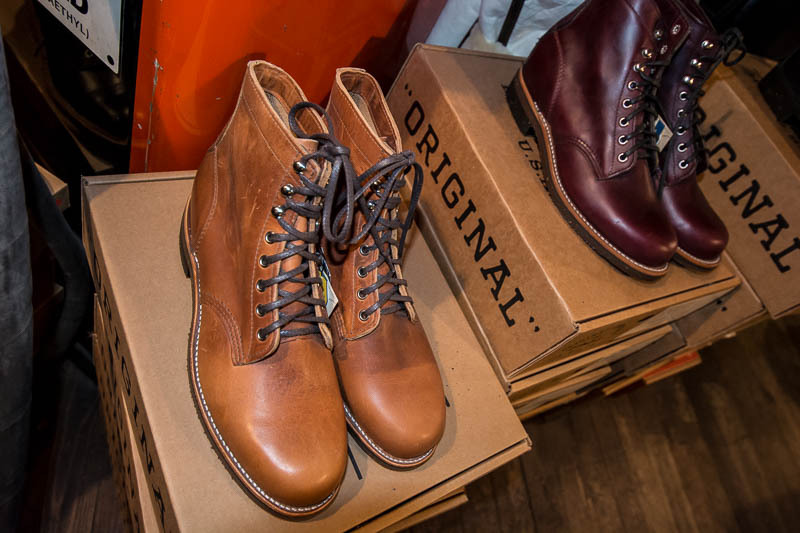 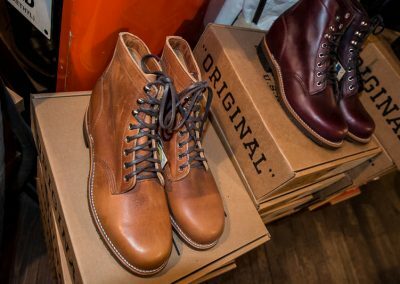 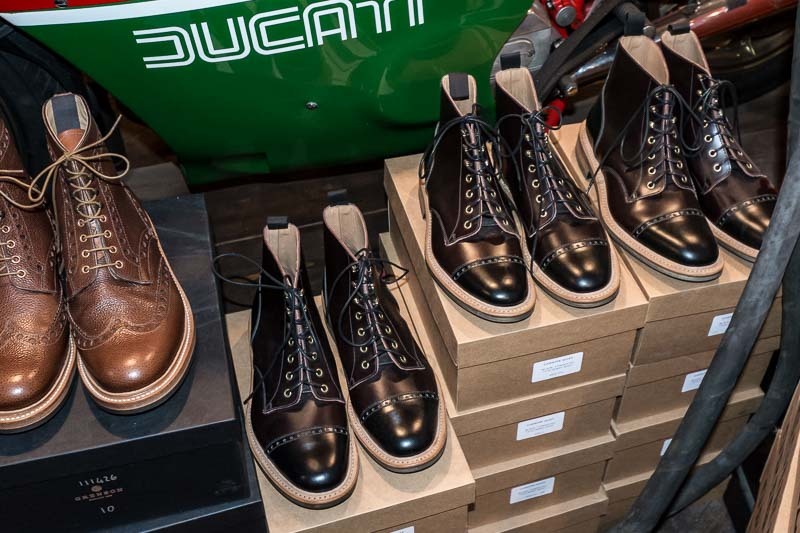 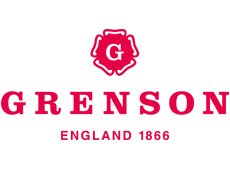 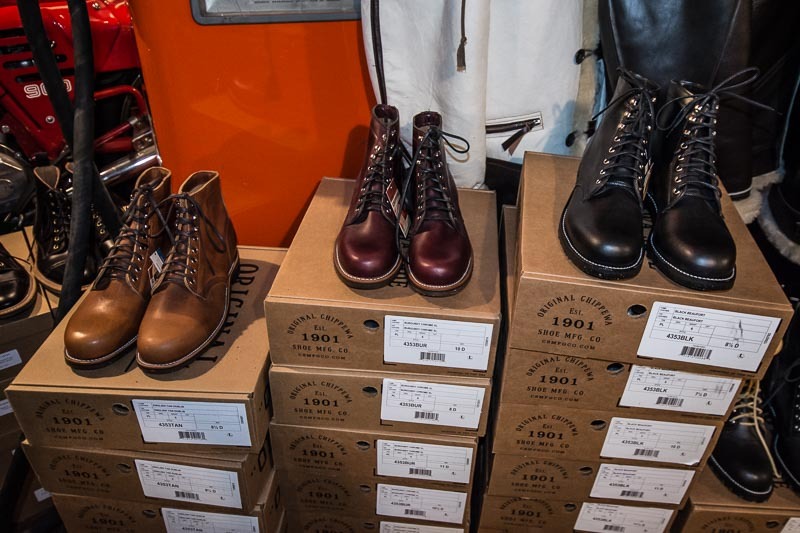 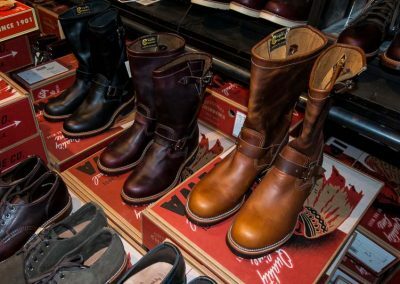 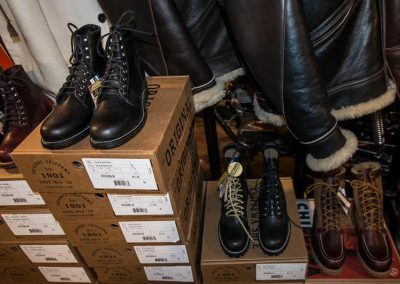 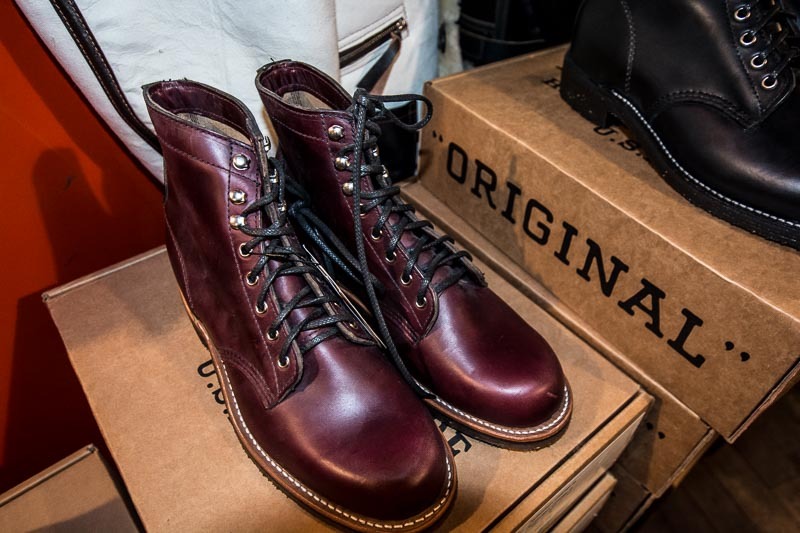 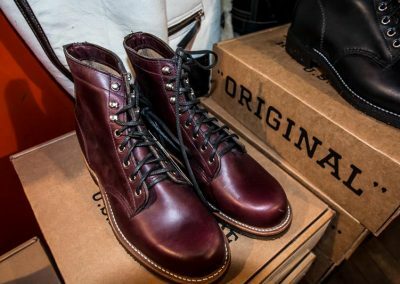 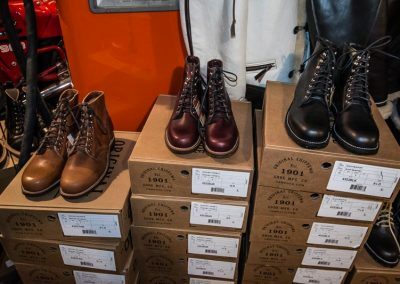 Grenson makes special boot in collaboration with Gasoline Alley. 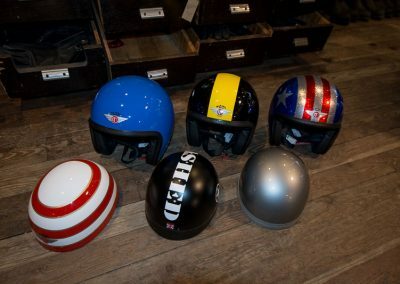 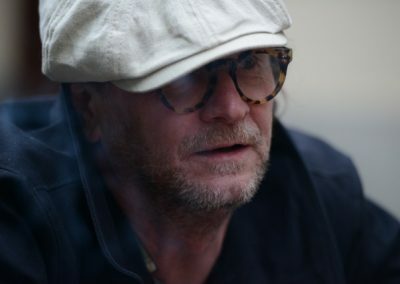 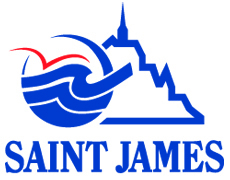 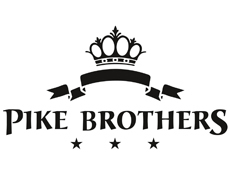 Other styles can be ordered at the shop. 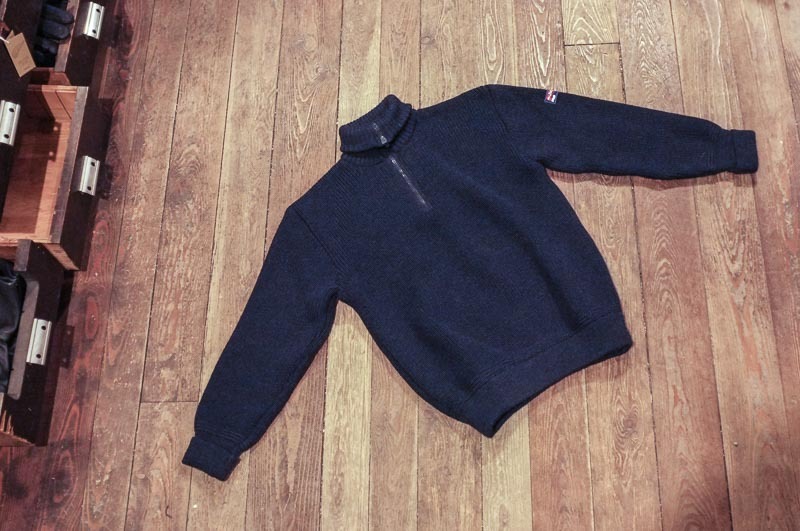 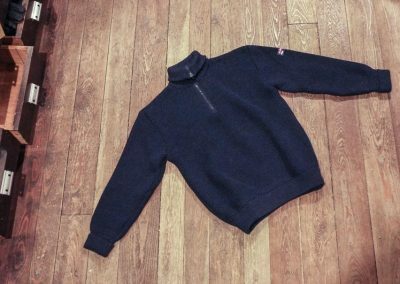 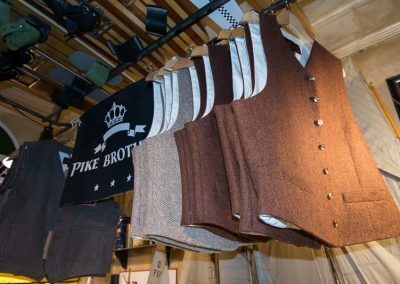 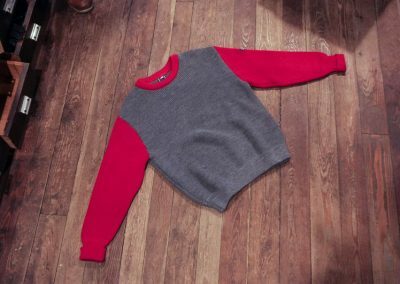 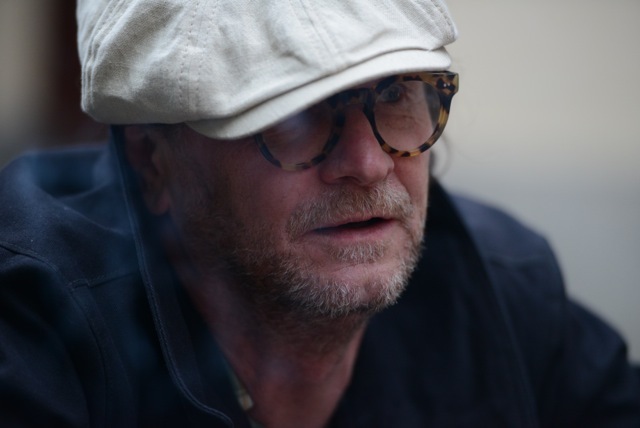 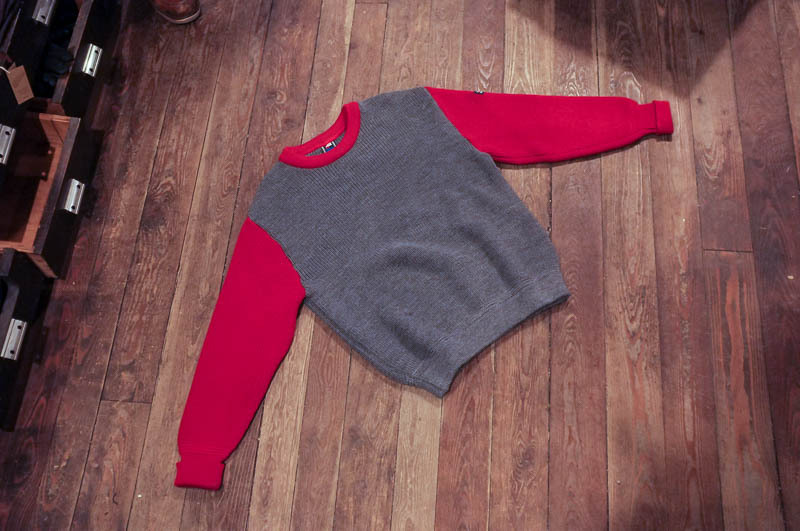 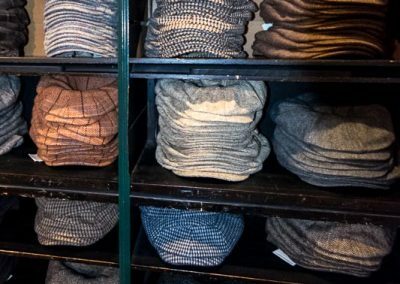 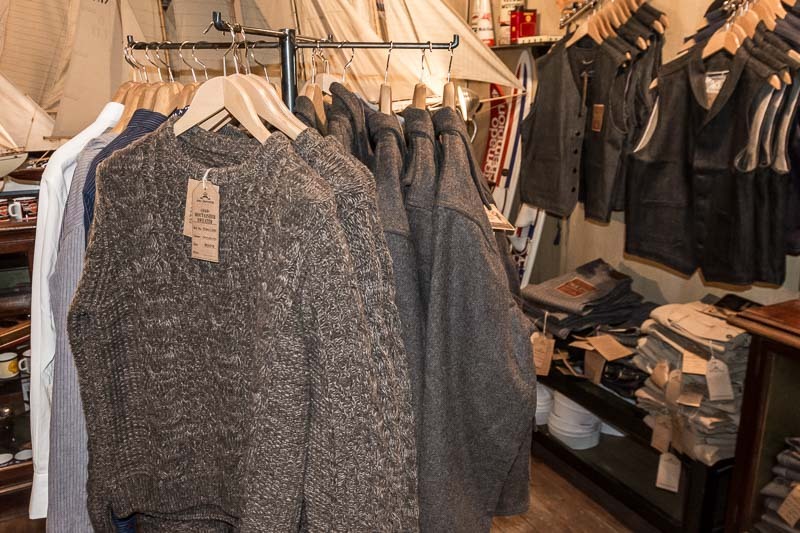 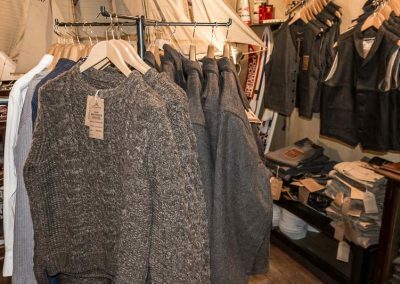 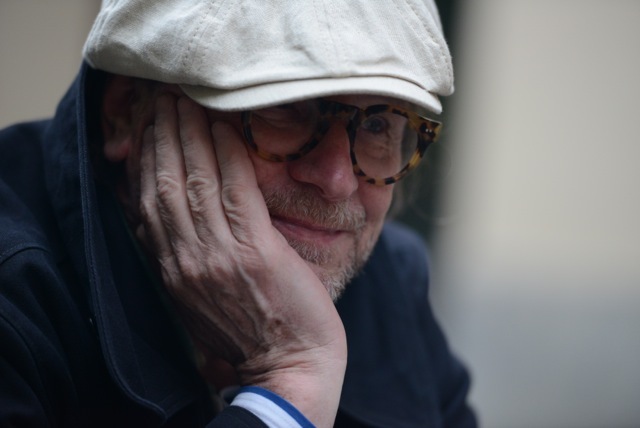 Bespoke woolen troyers and sweaters are measured in my shop. 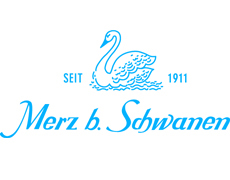 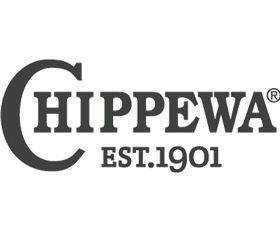 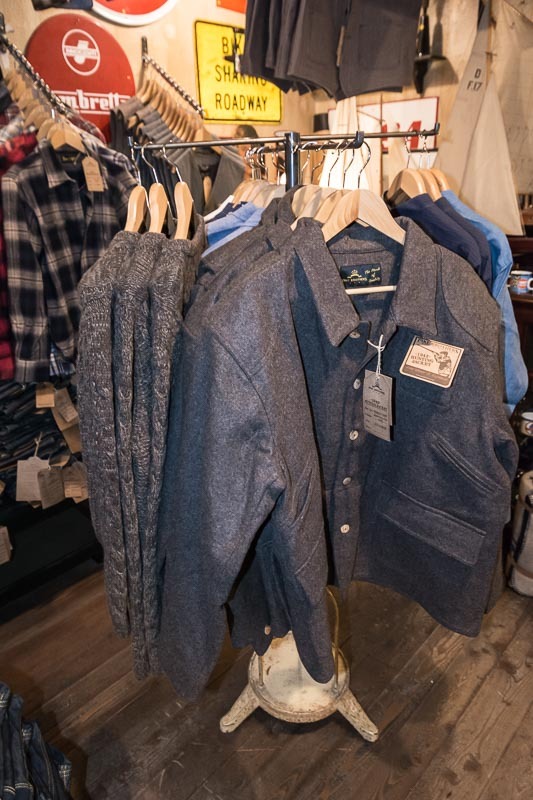 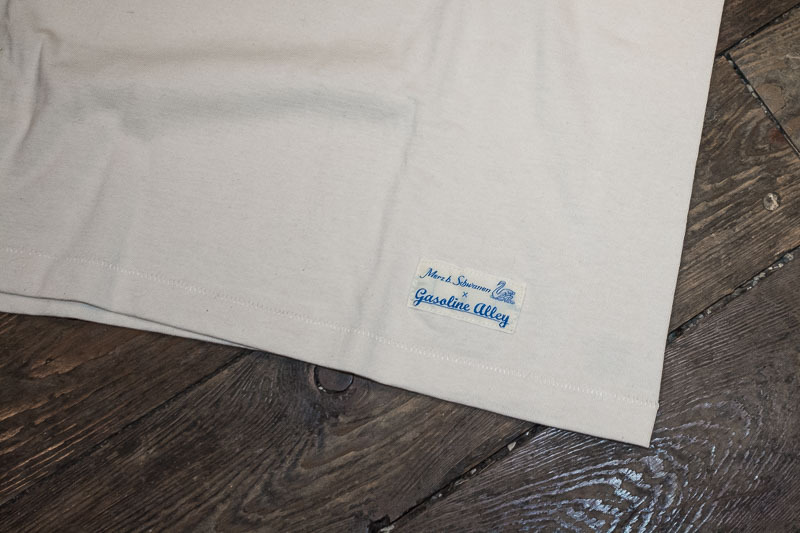 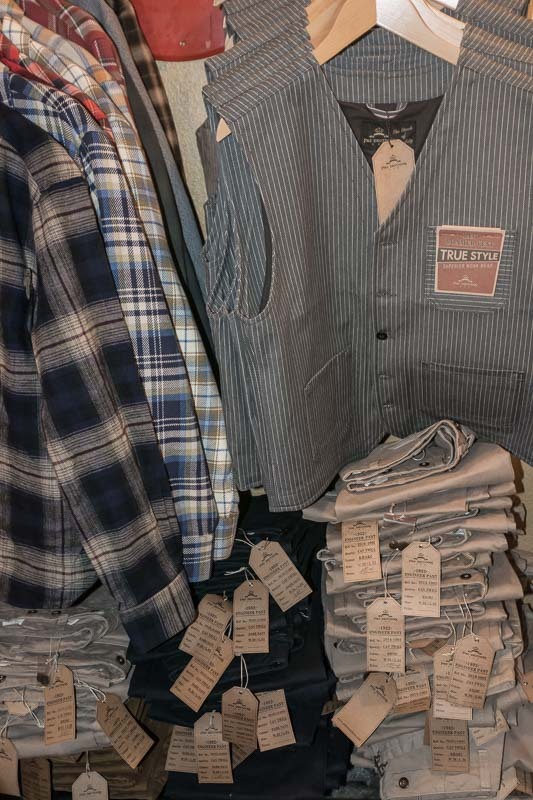 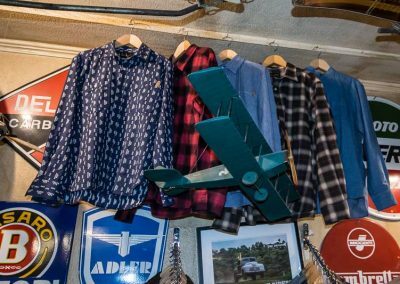 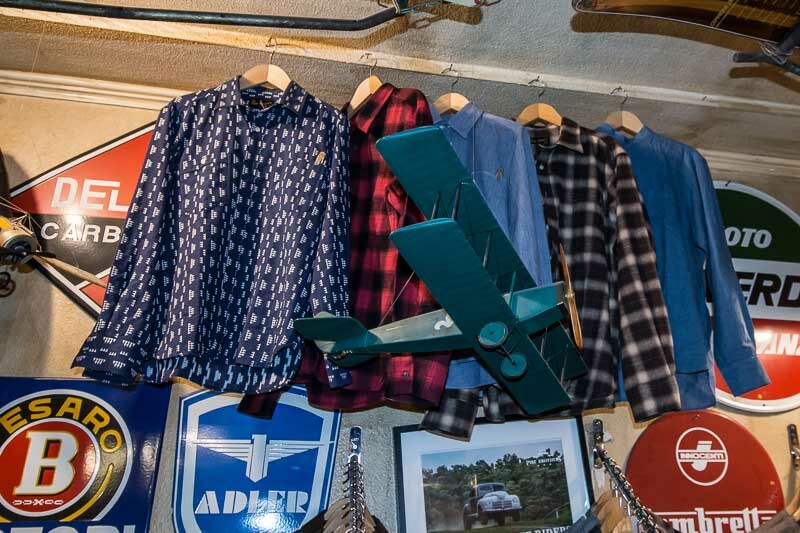 Utility shirts made bei Merz bei Schwanen with fabrics selected bei Gasoline Alley and made only for Gasoline Alley. 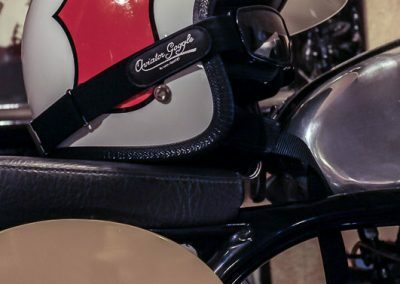 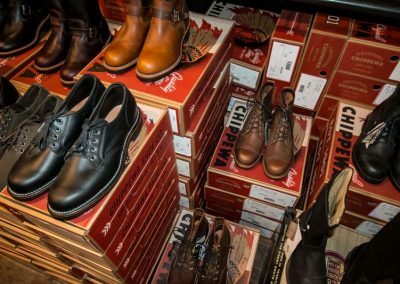 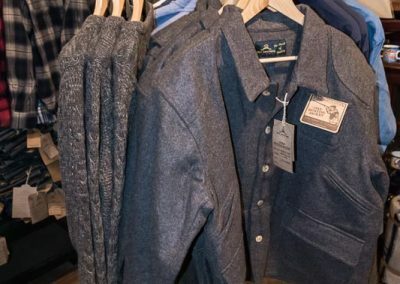 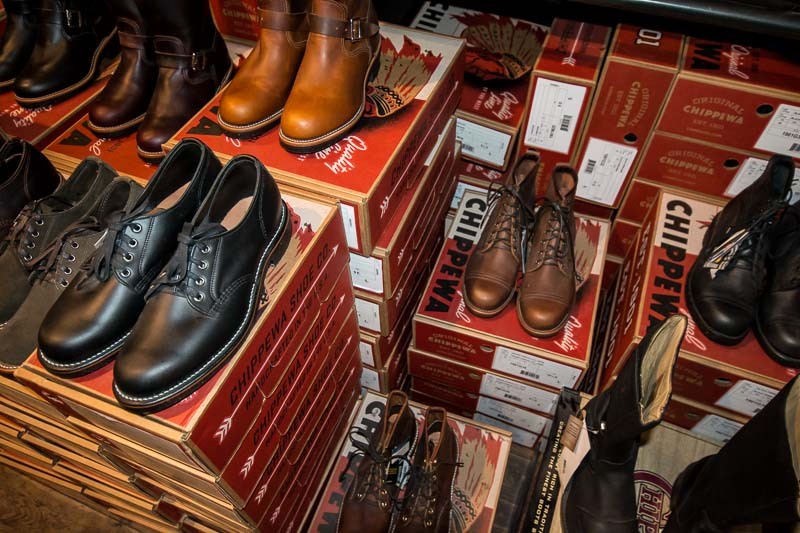 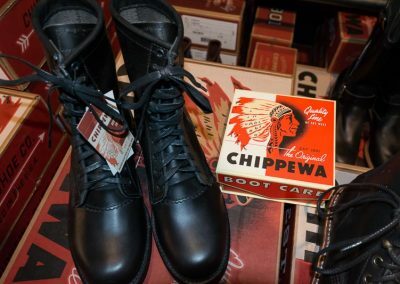 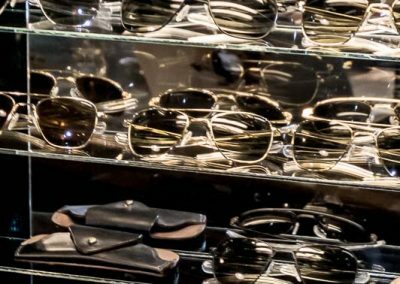 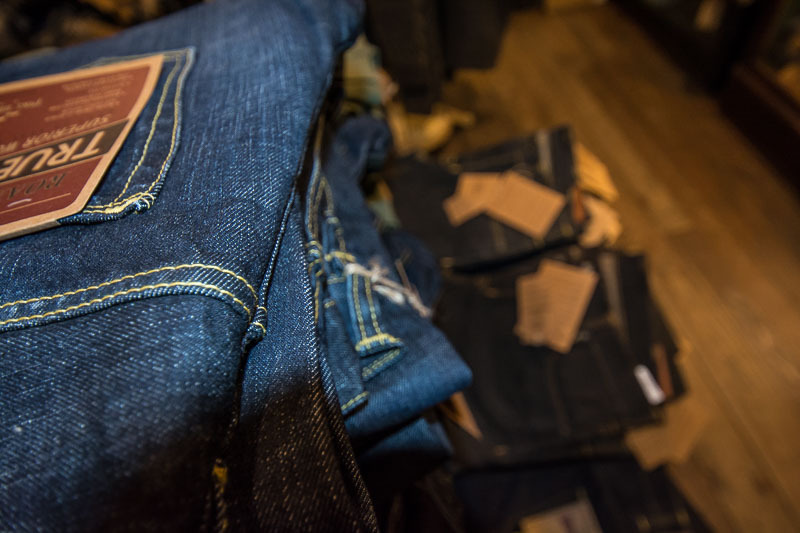 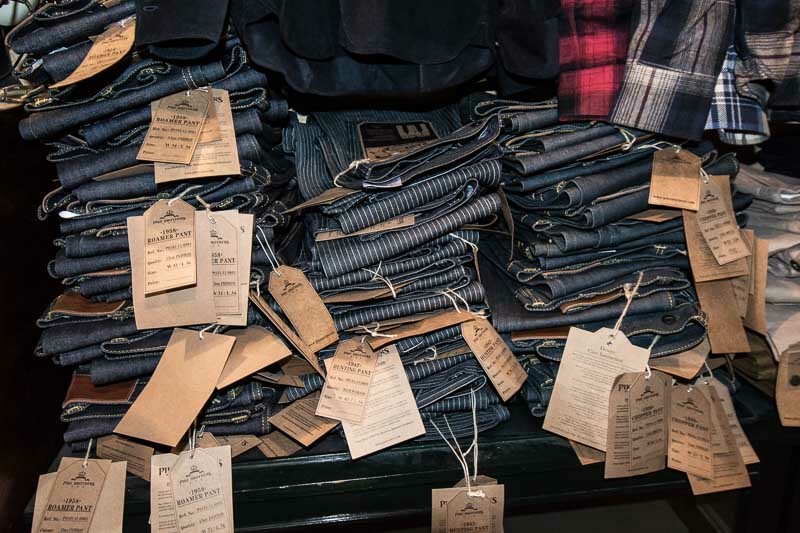 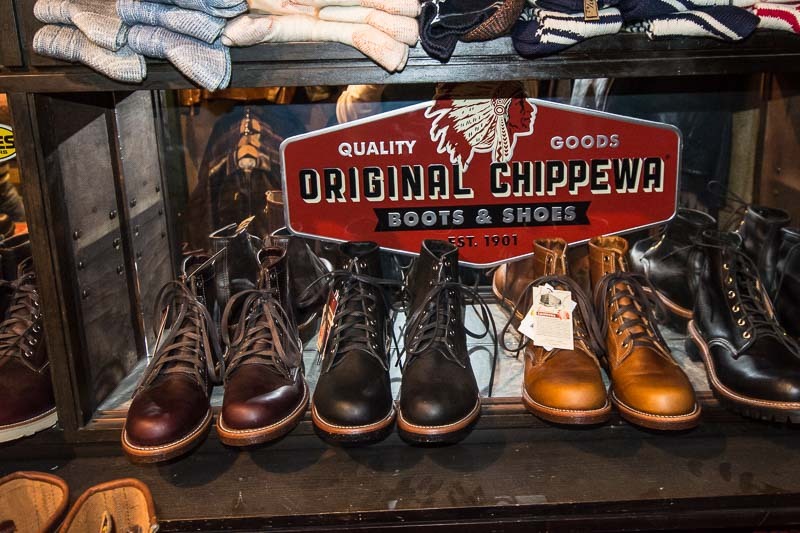 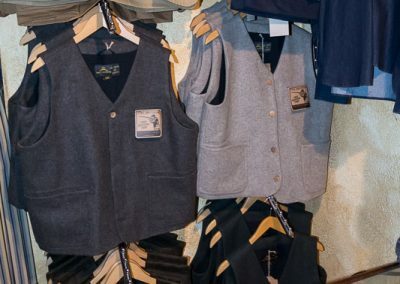 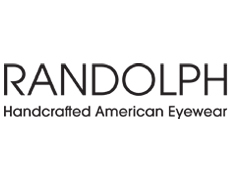 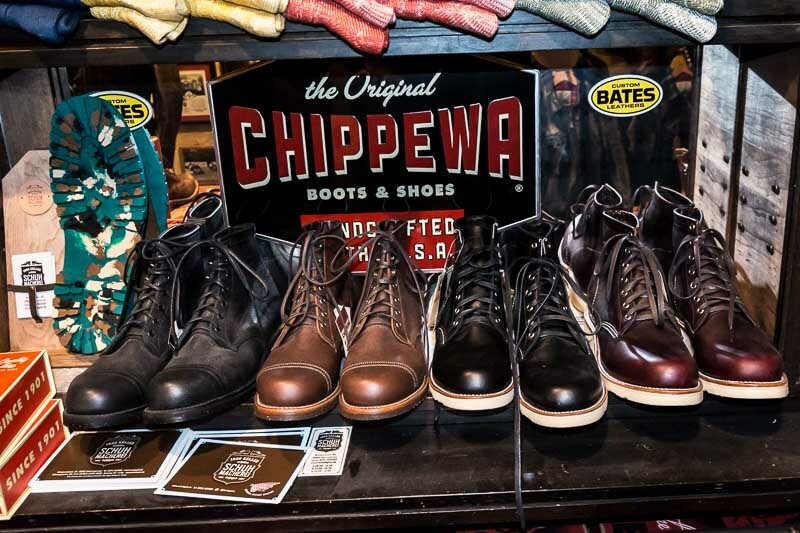 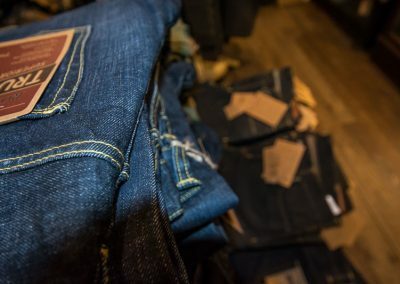 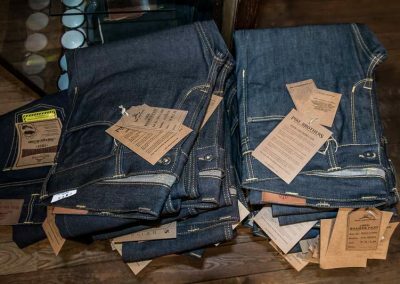 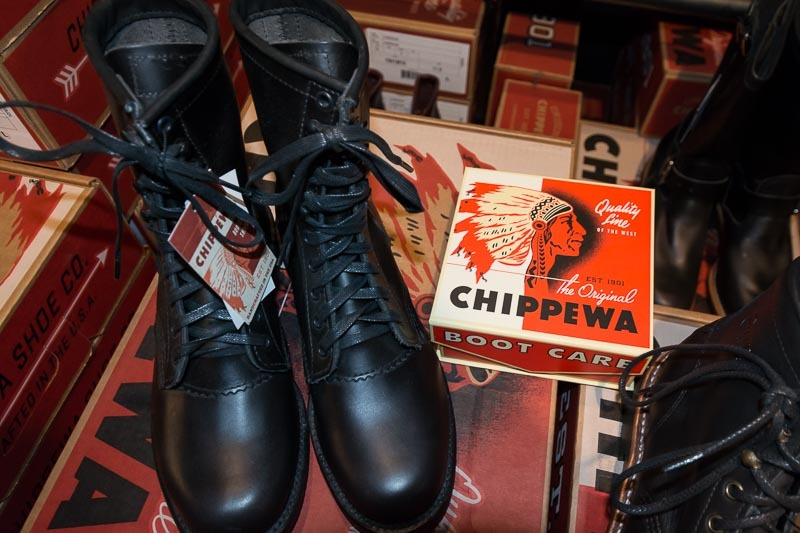 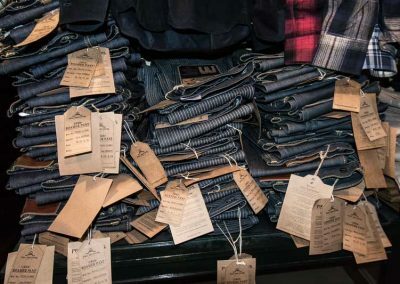 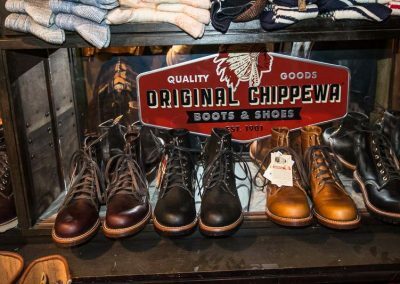 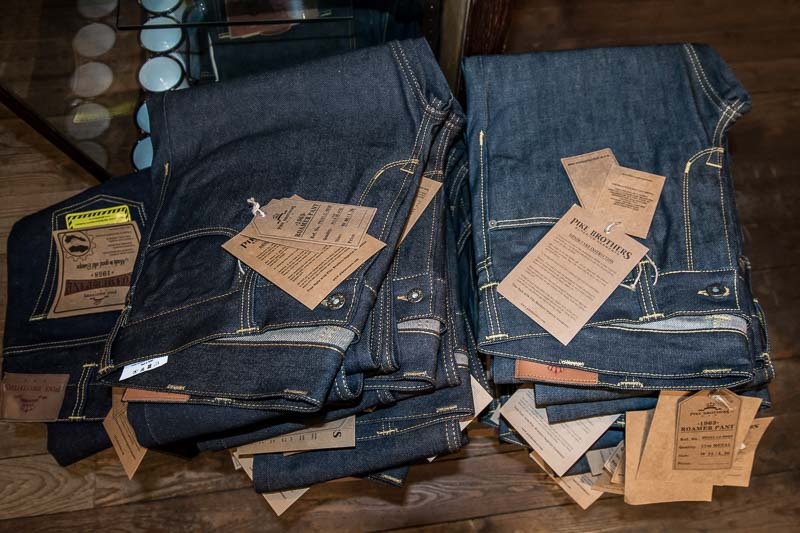 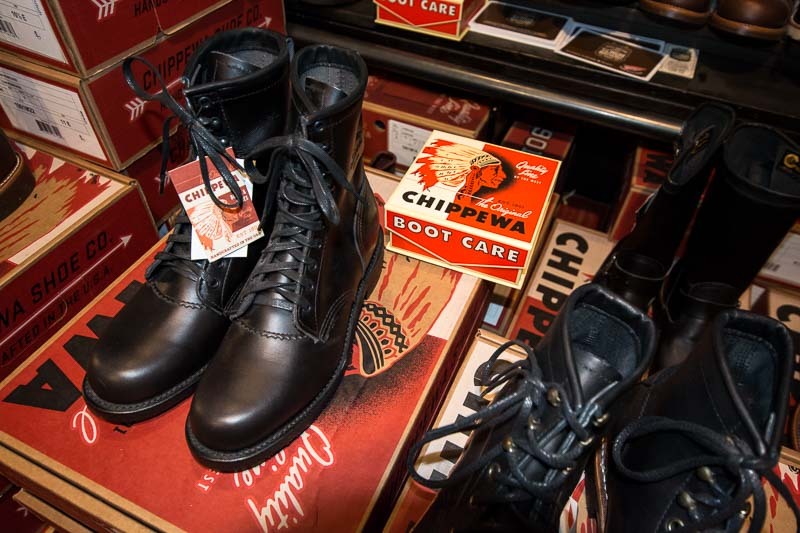 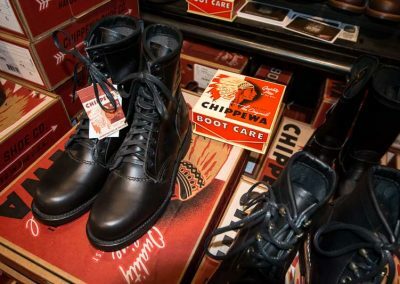 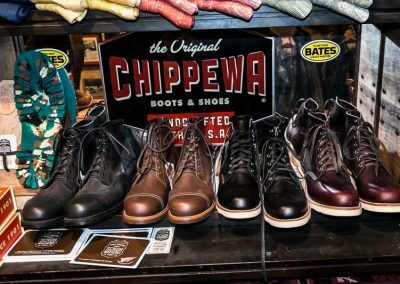 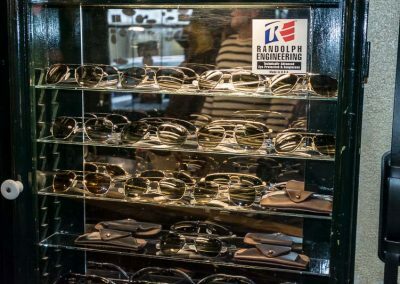 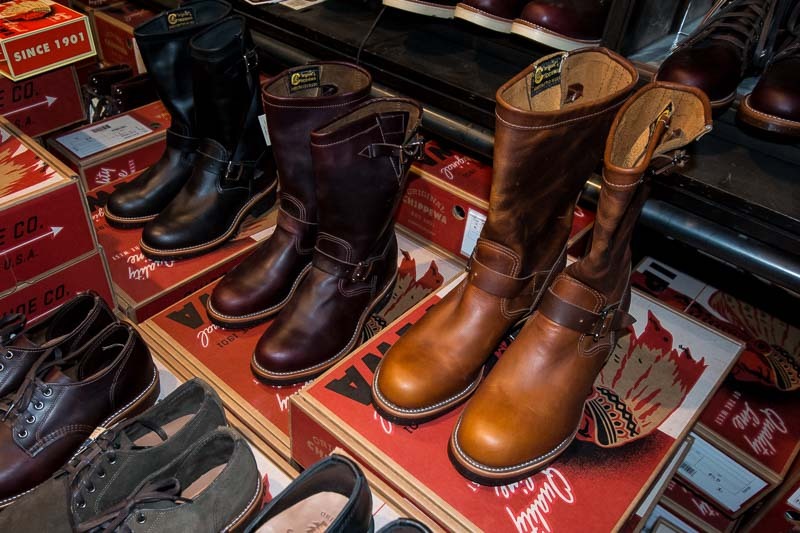 Gasoline Alley is one of the flagship stores for this outstanding brand. 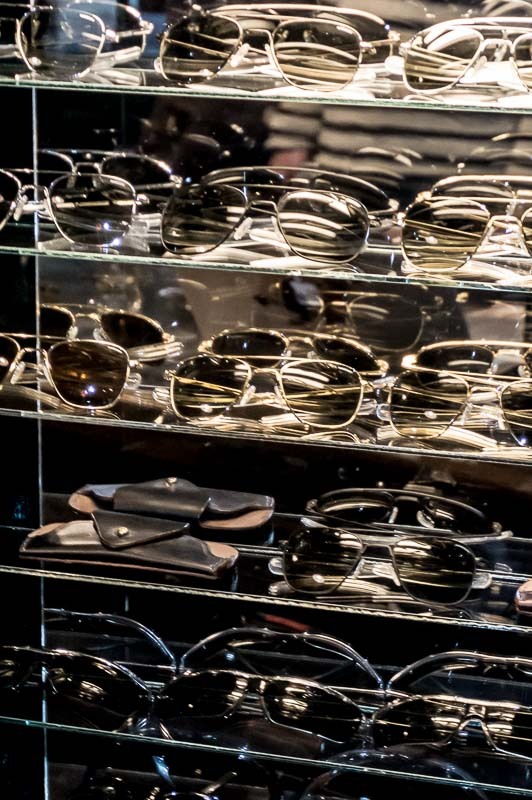 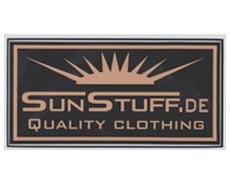 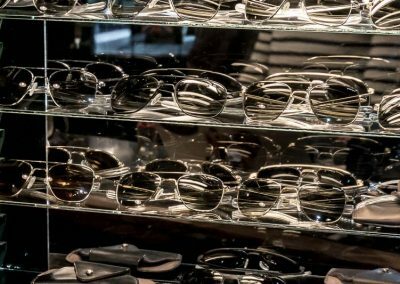 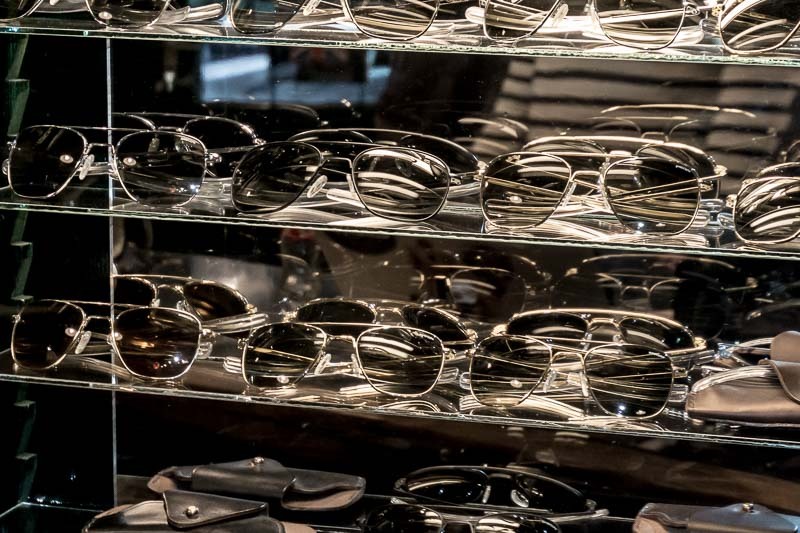 Here at the store we provide Aviator goggles in different colors and sizes. 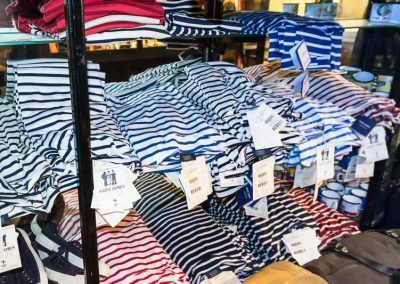 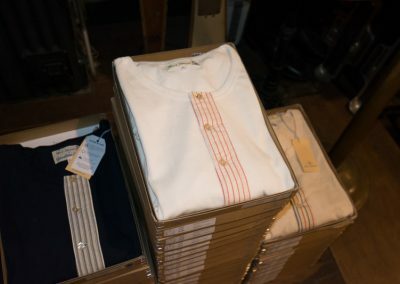 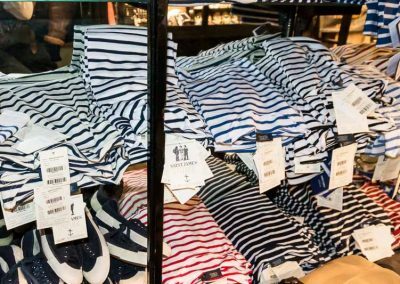 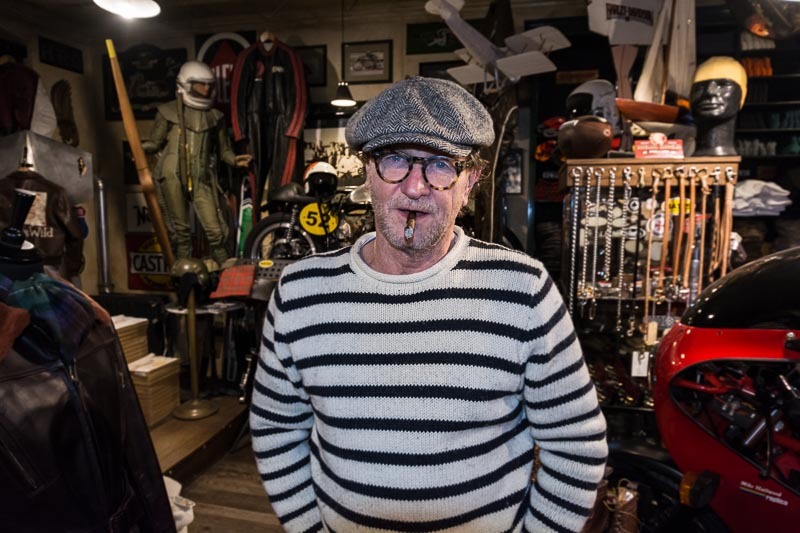 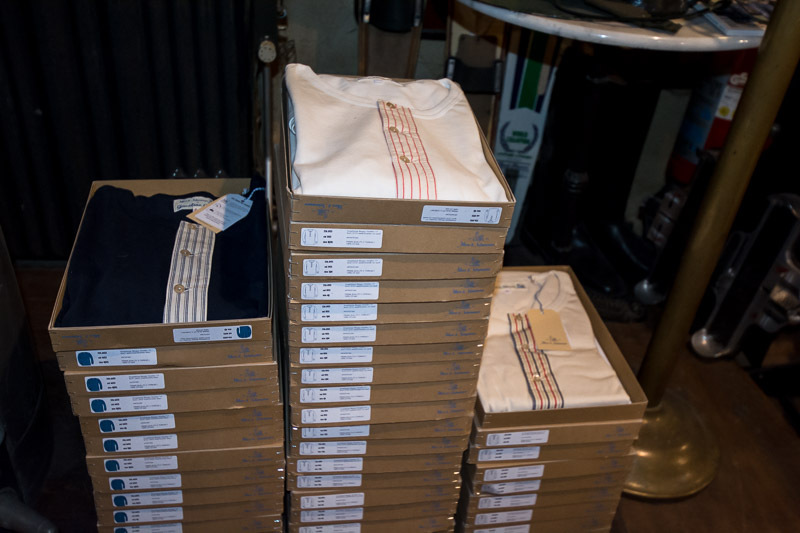 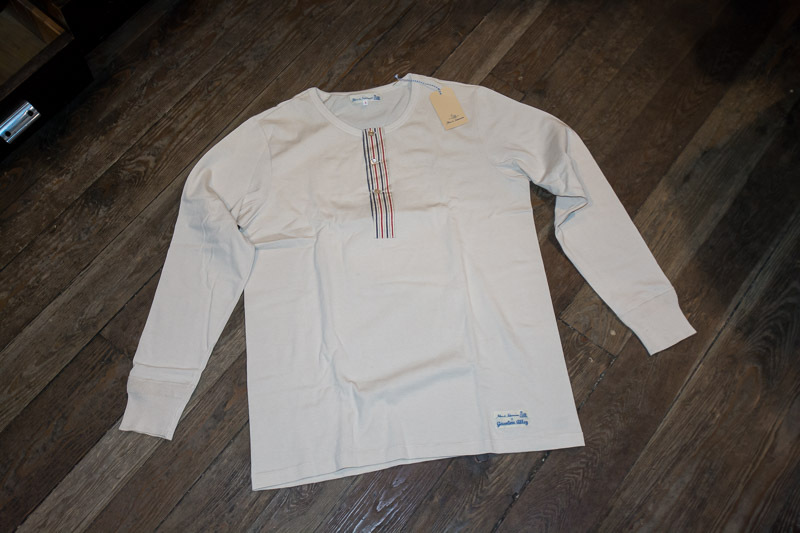 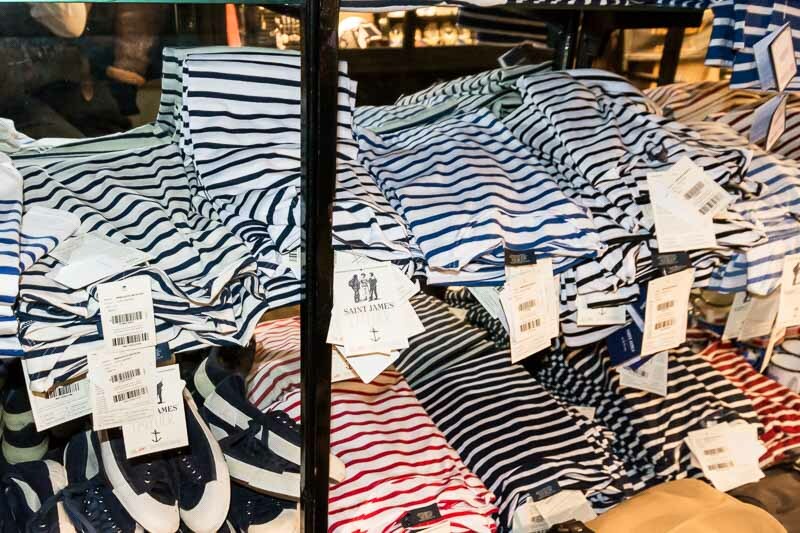 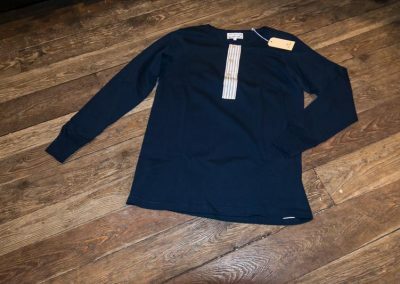 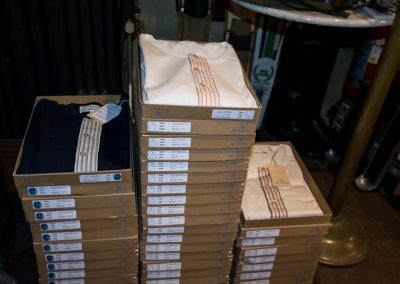 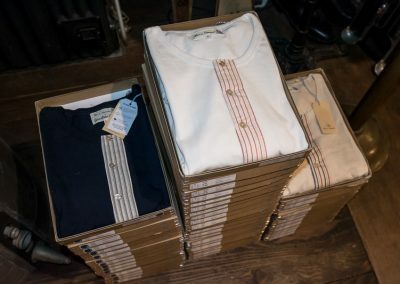 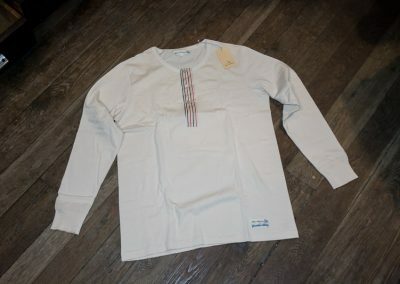 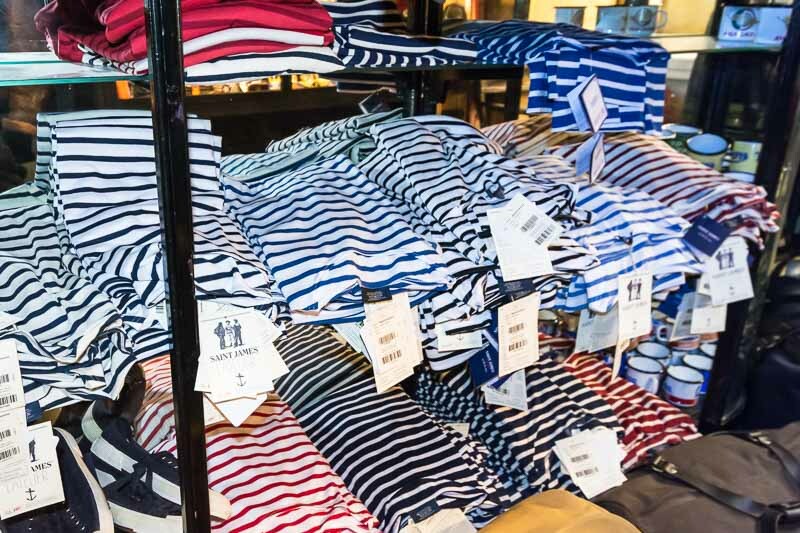 We sell the Caban and the stripe shirts. 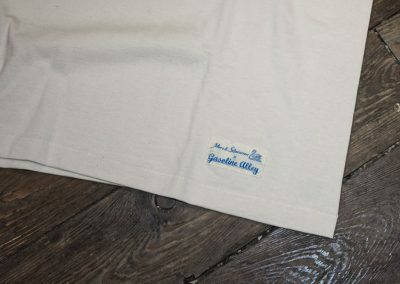 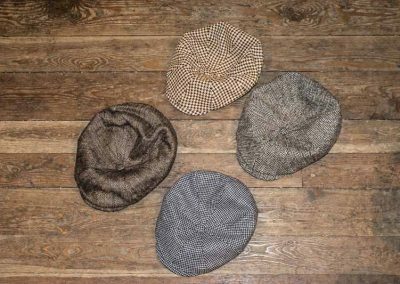 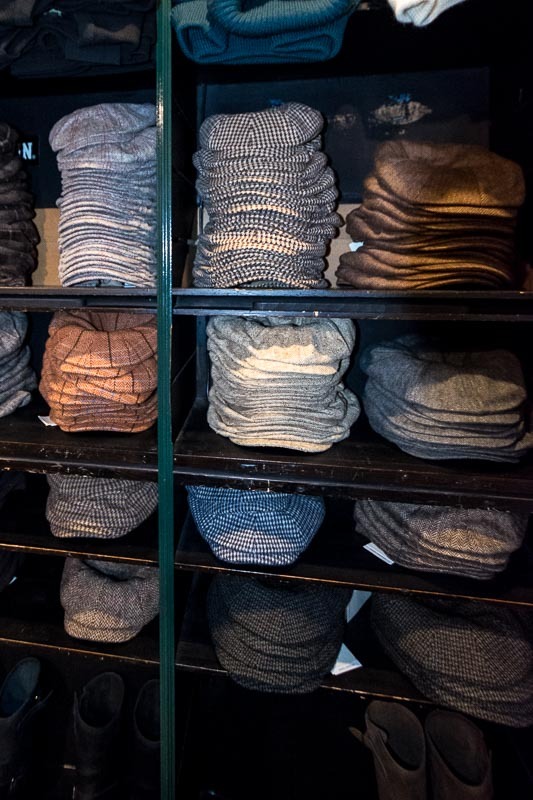 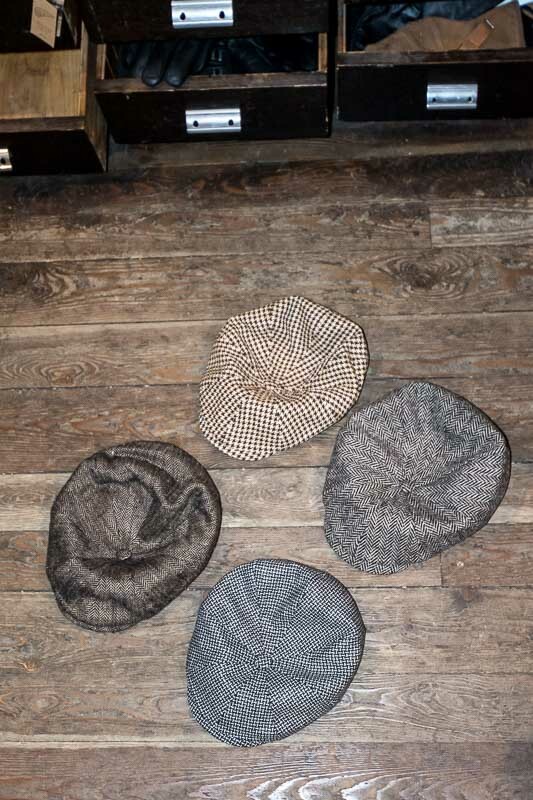 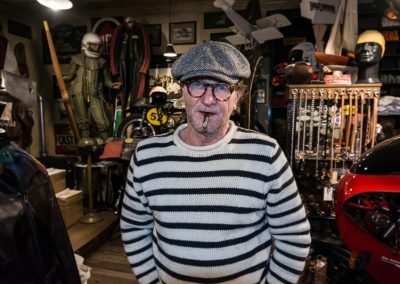 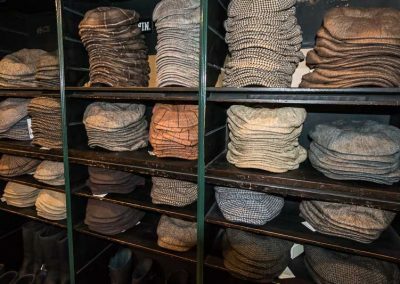 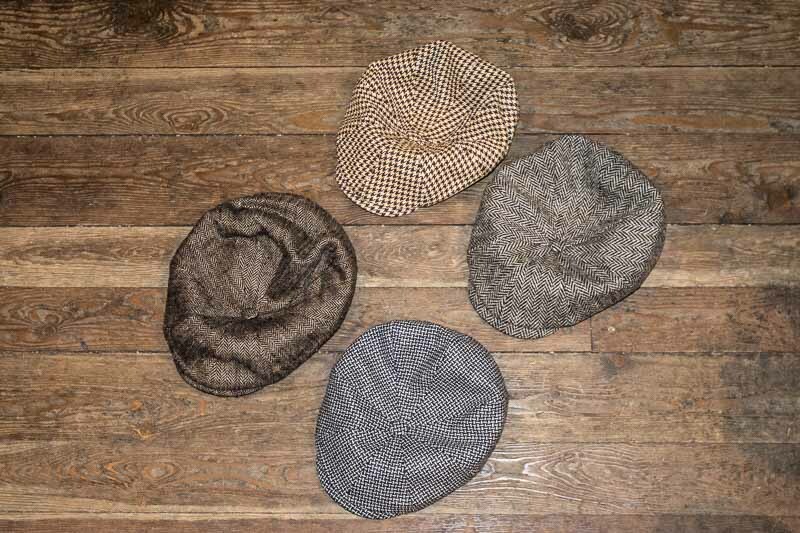 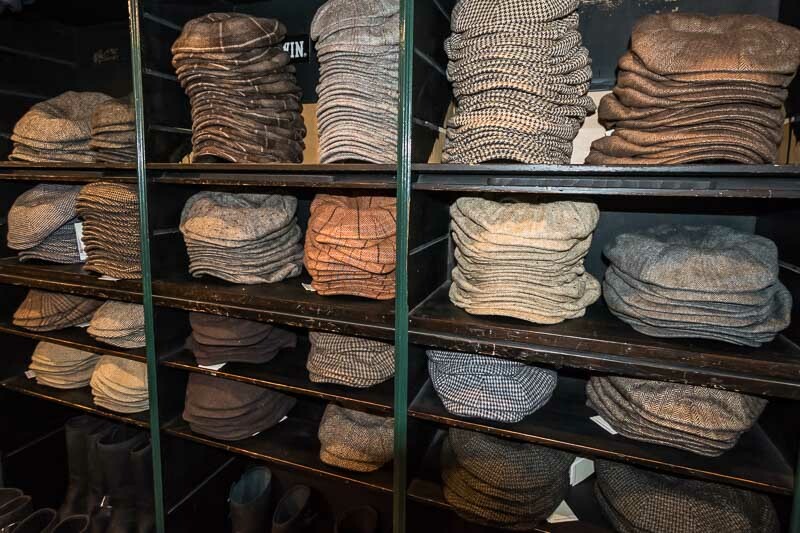 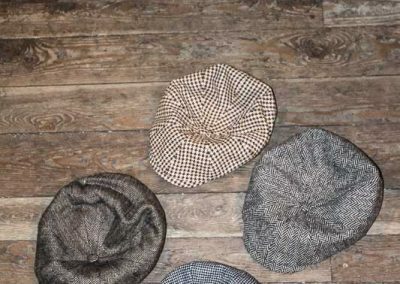 Gasoline Alley sells only the Hatteras cut caps in fabrics, personally chosen by me for Gasoline Alley. 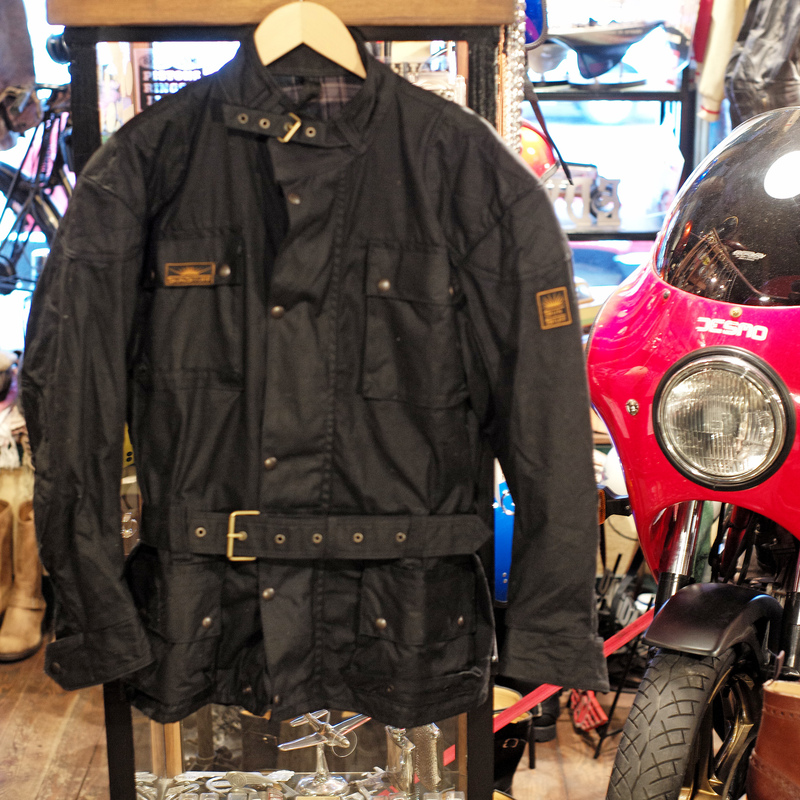 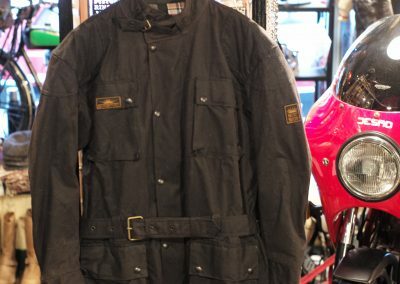 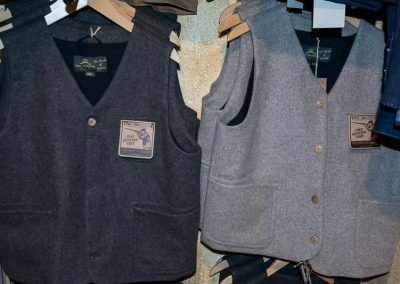 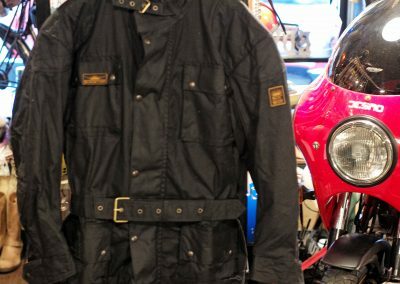 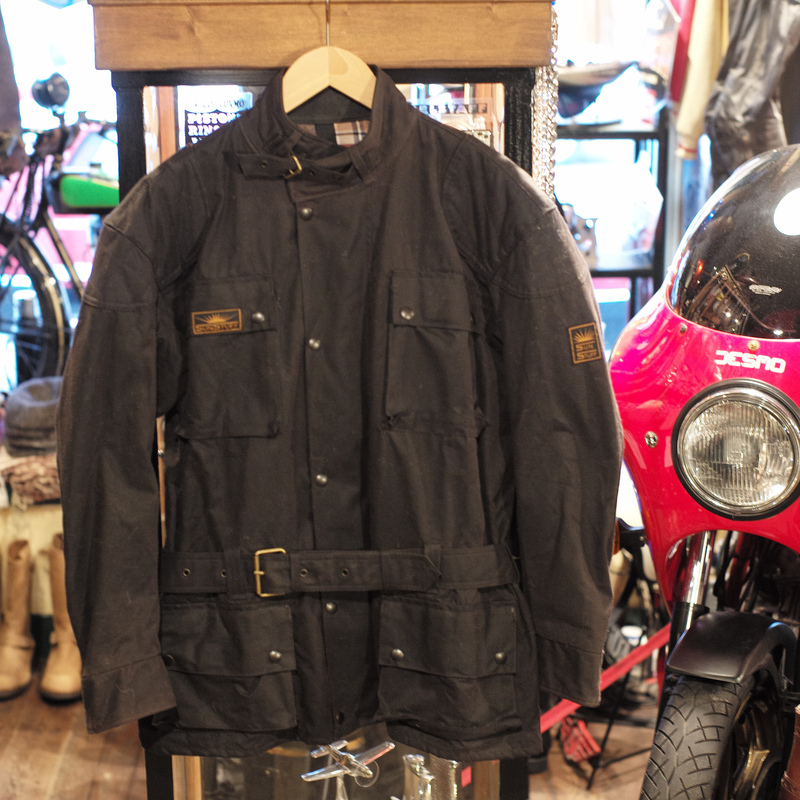 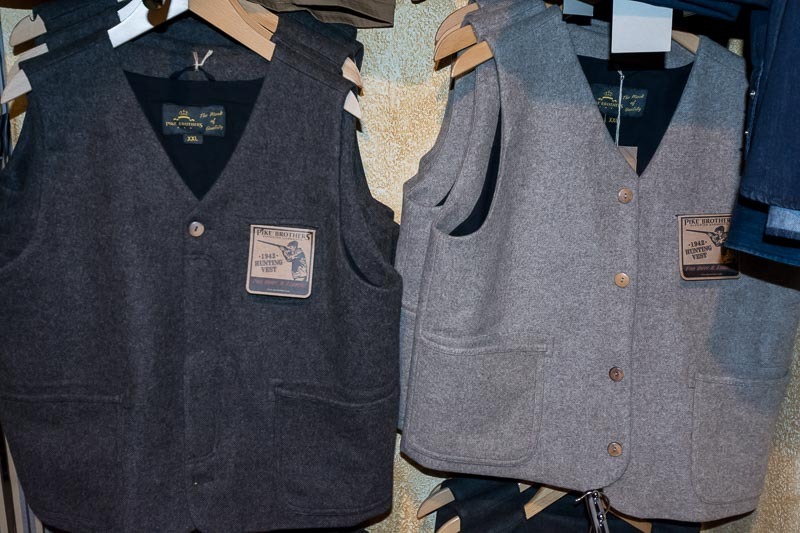 Wax cotton jackets in brown and black with woolen lining. 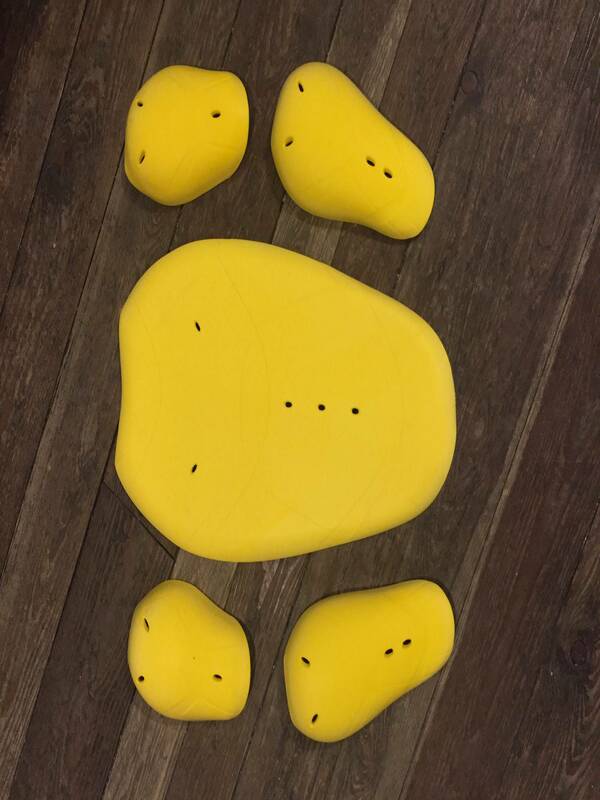 Can also be ordered with protectors.